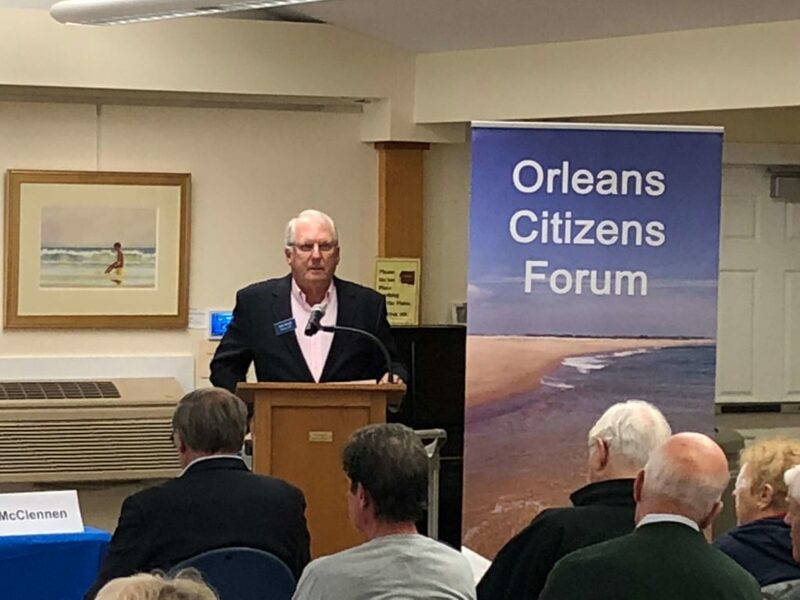 Article 6, a citizens petition to ban retail outlets for recreational marijuana sales in Orleans, was explained by Steve Bornemeier, its author. 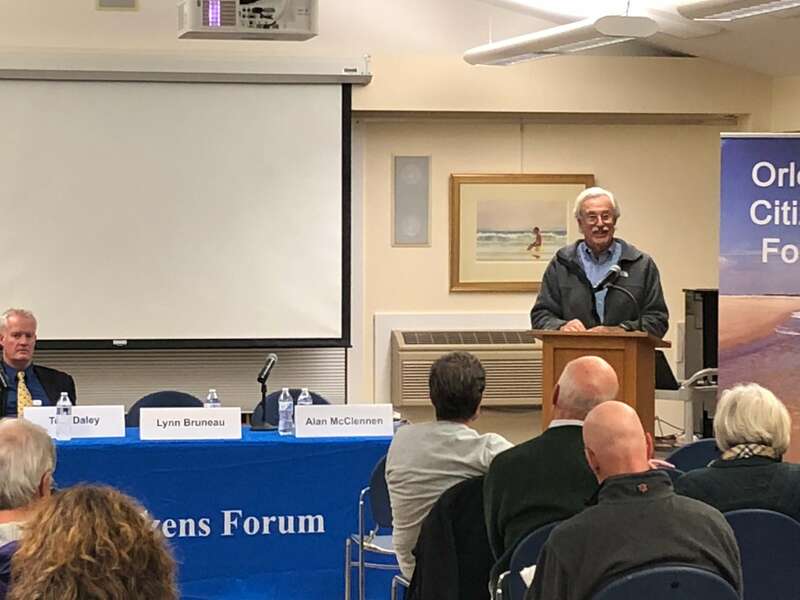 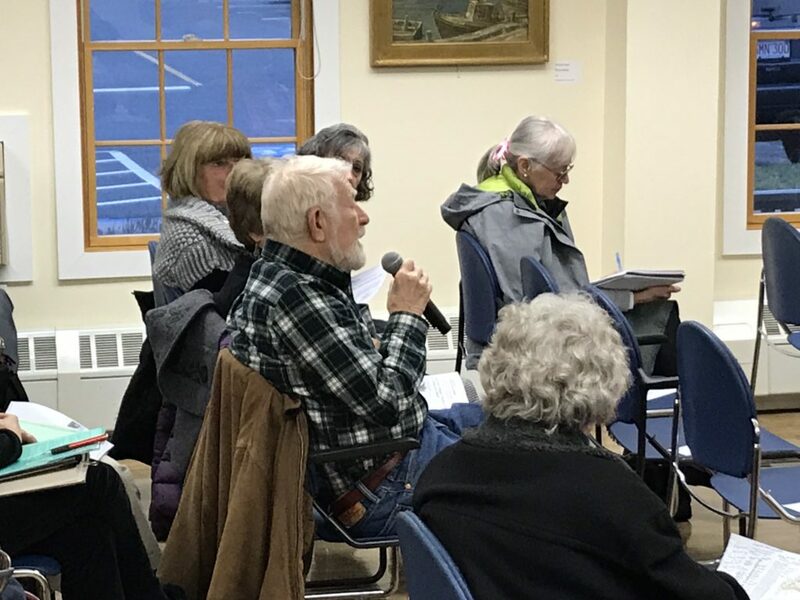 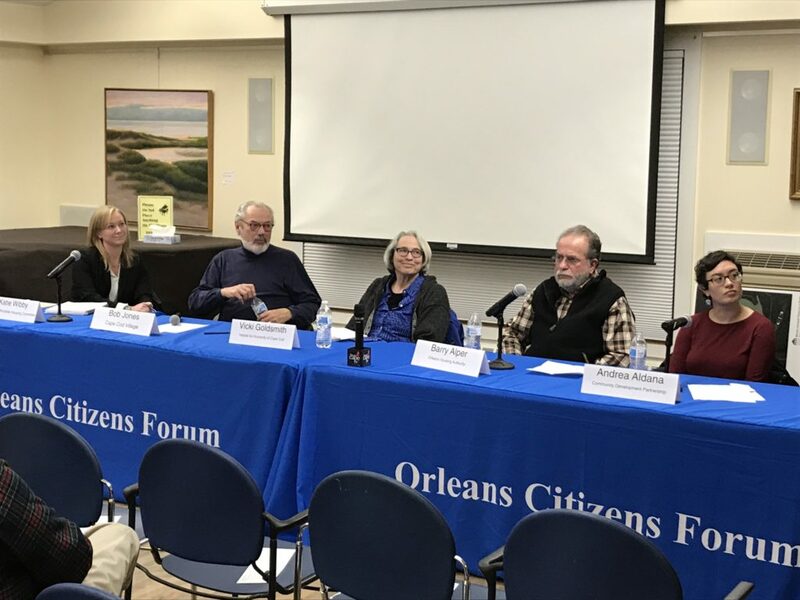 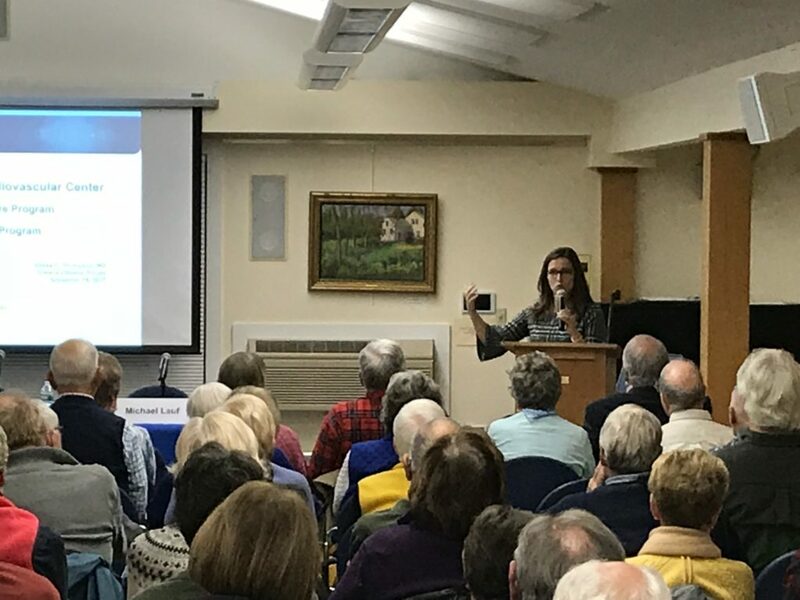 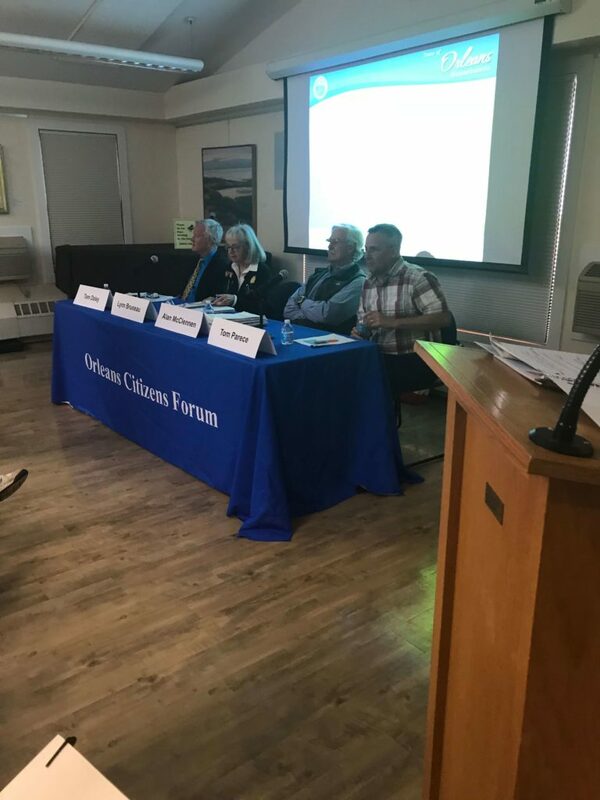 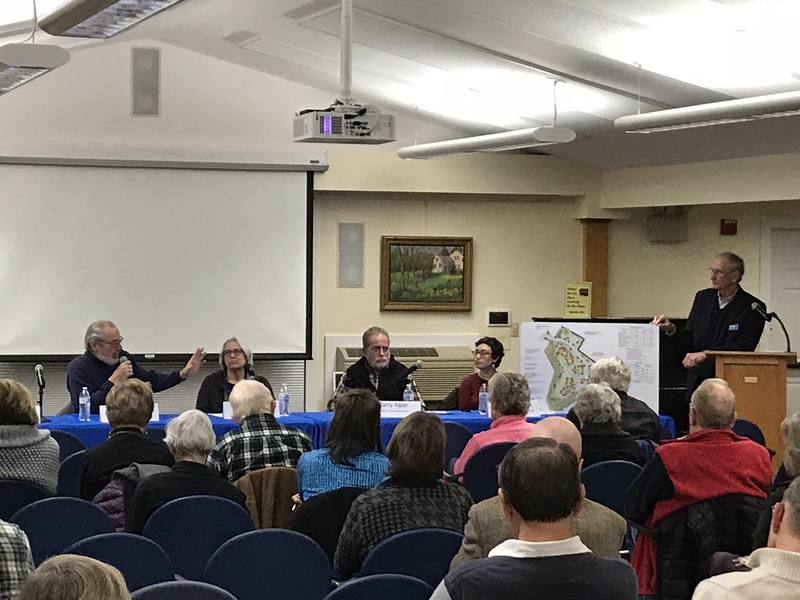 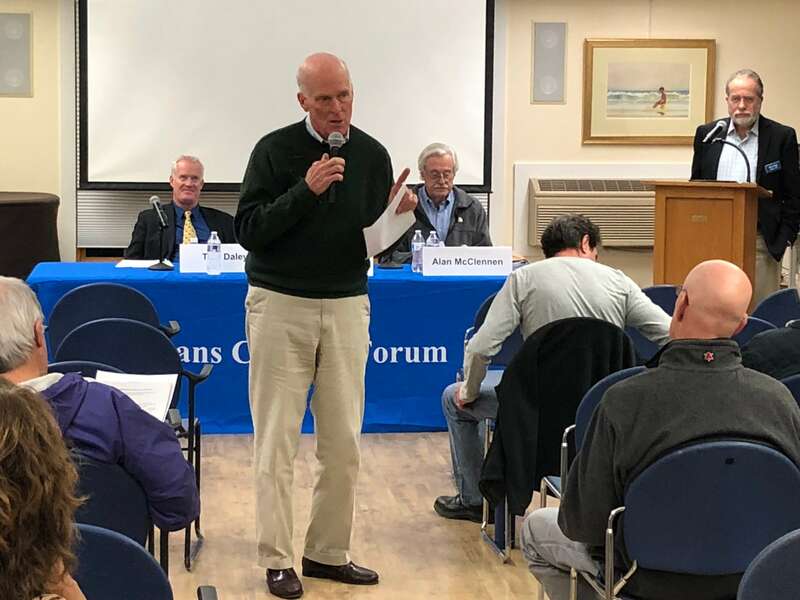 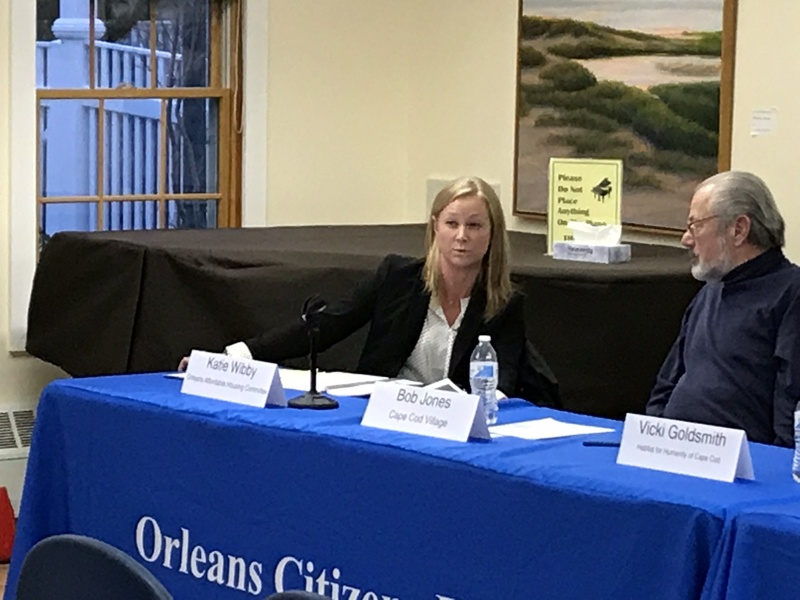 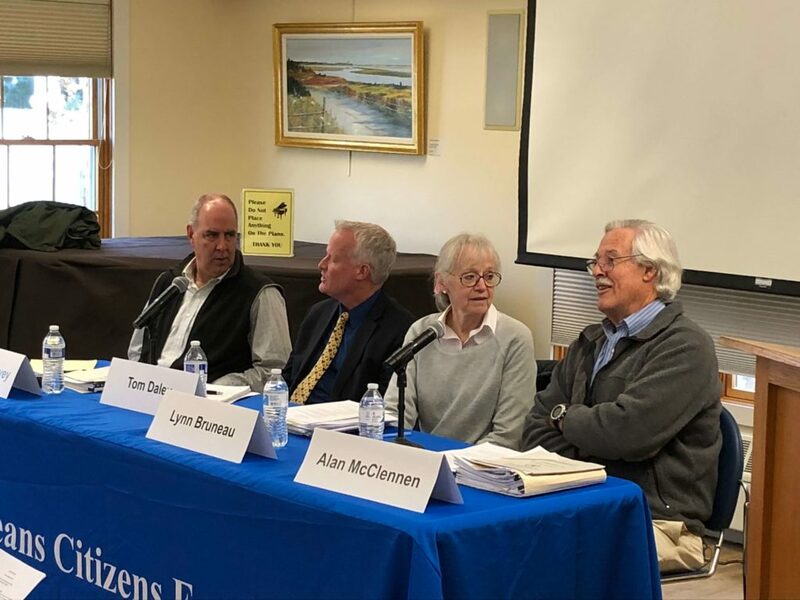 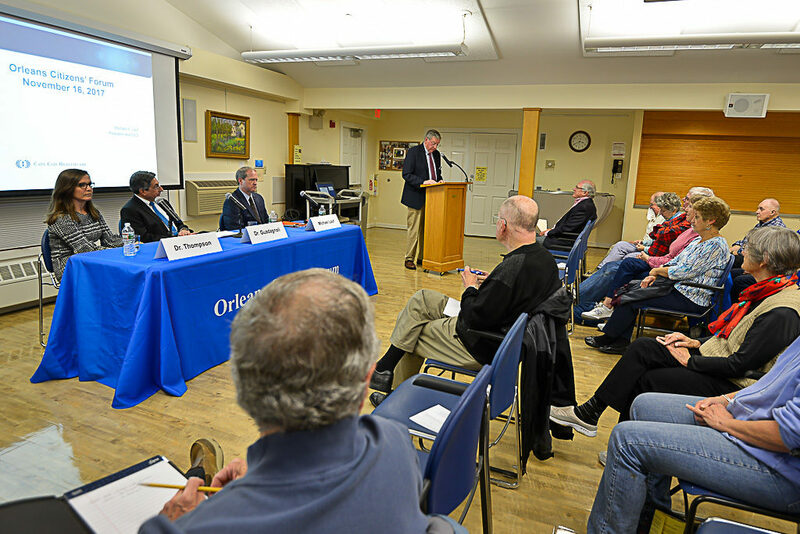 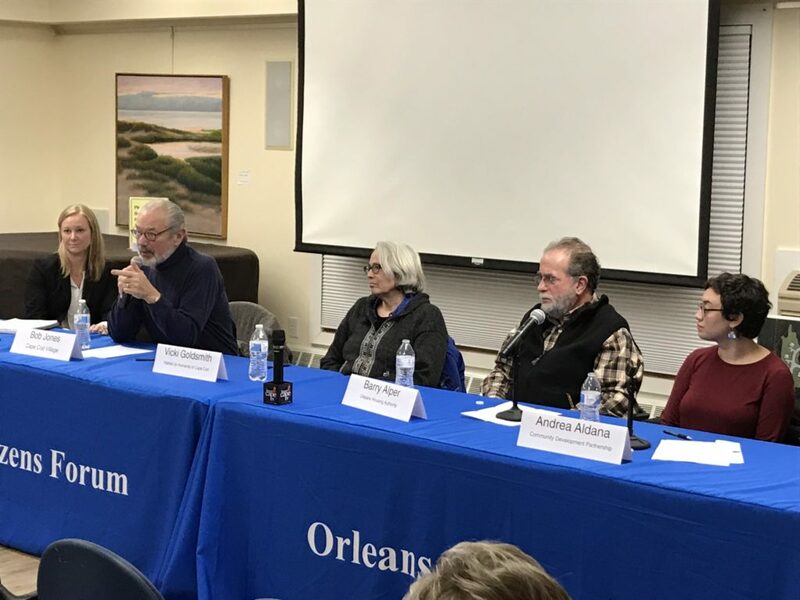 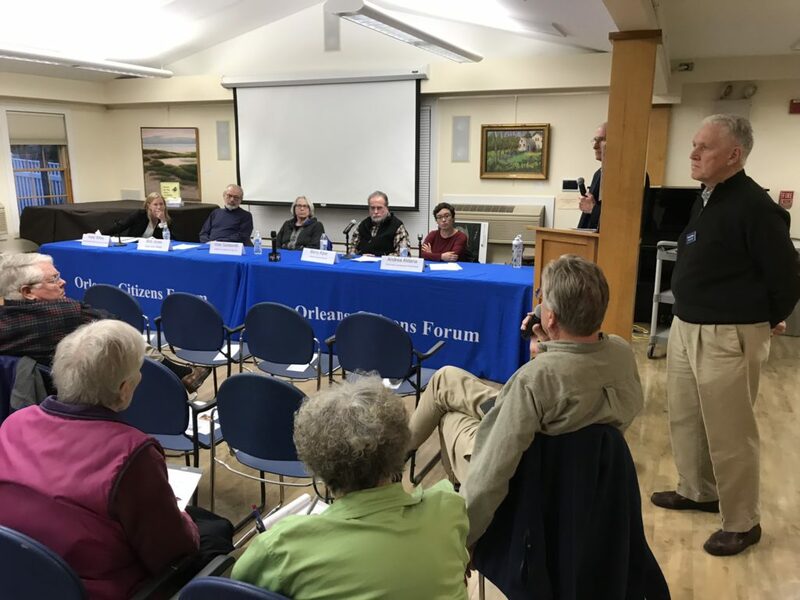 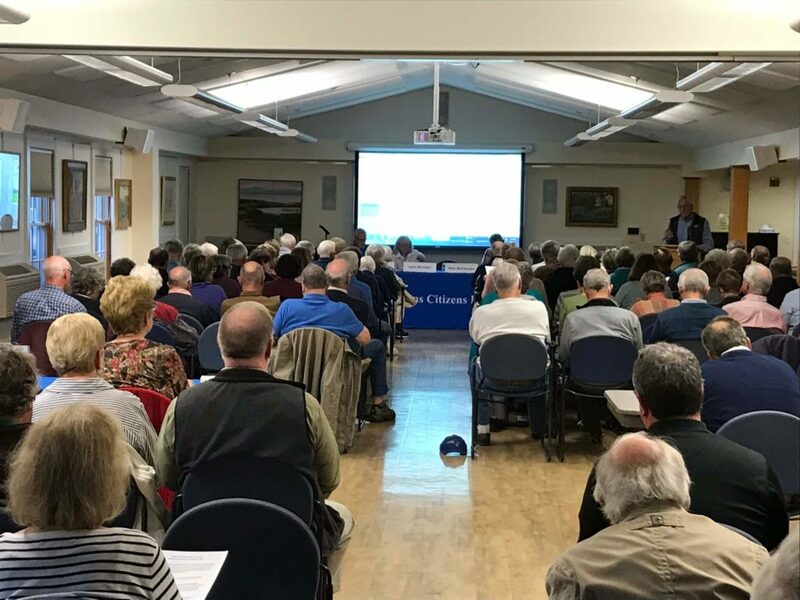 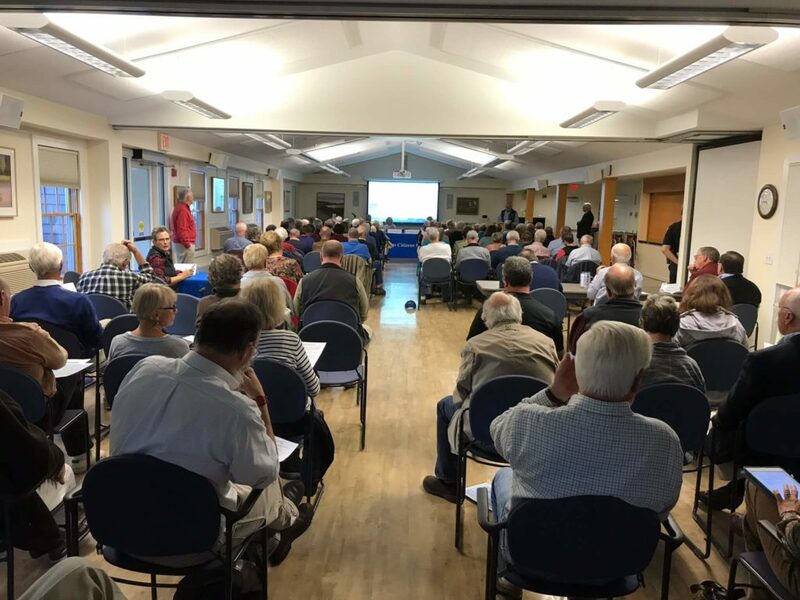 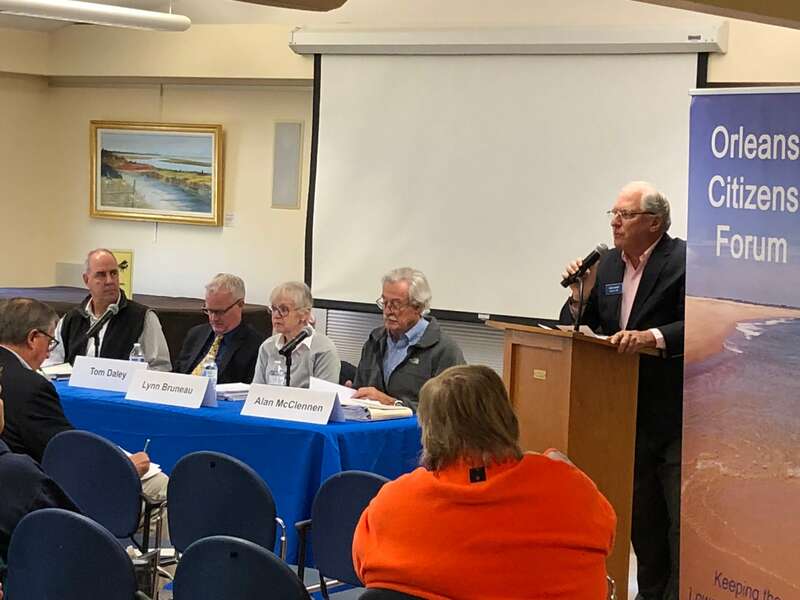 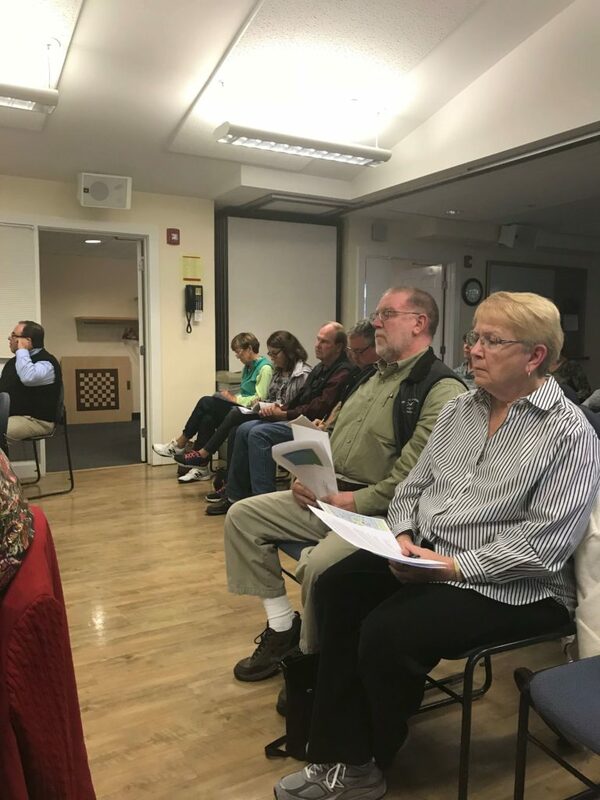 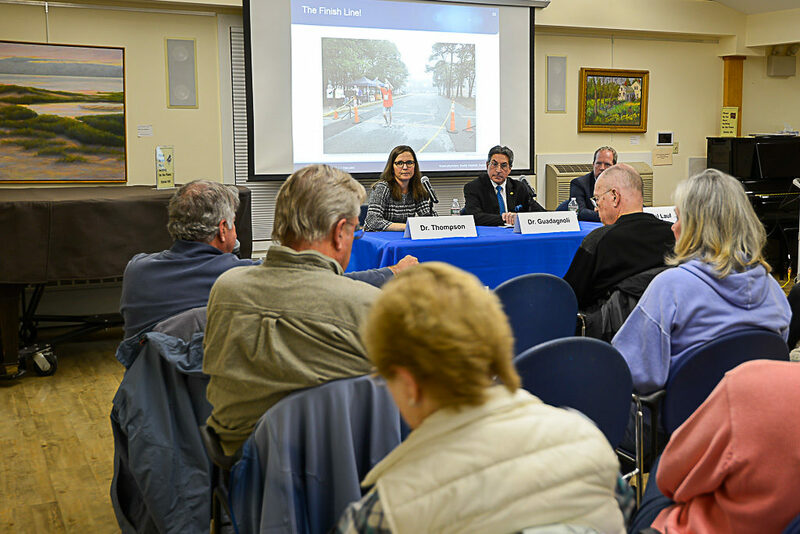 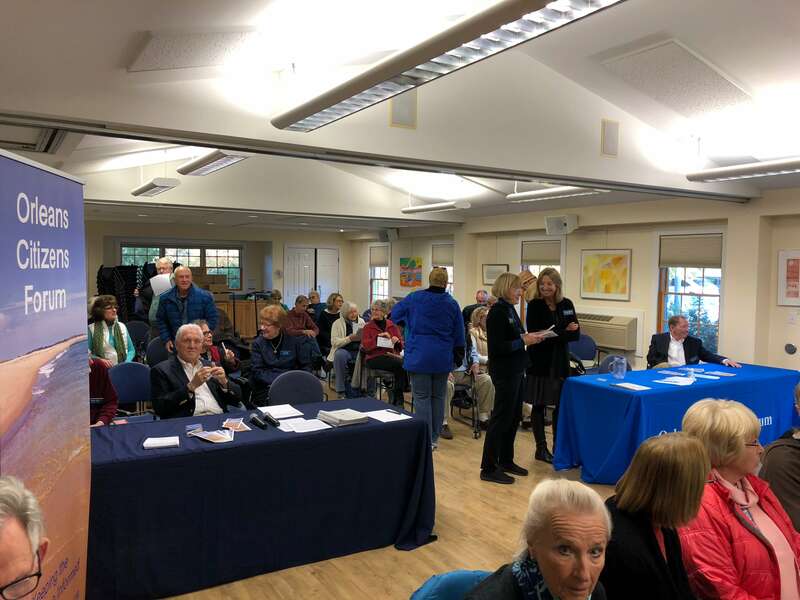 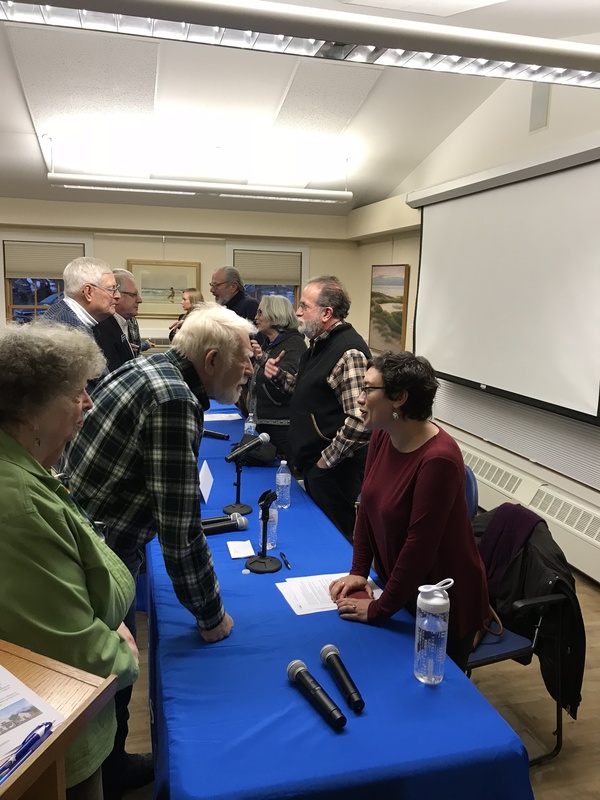 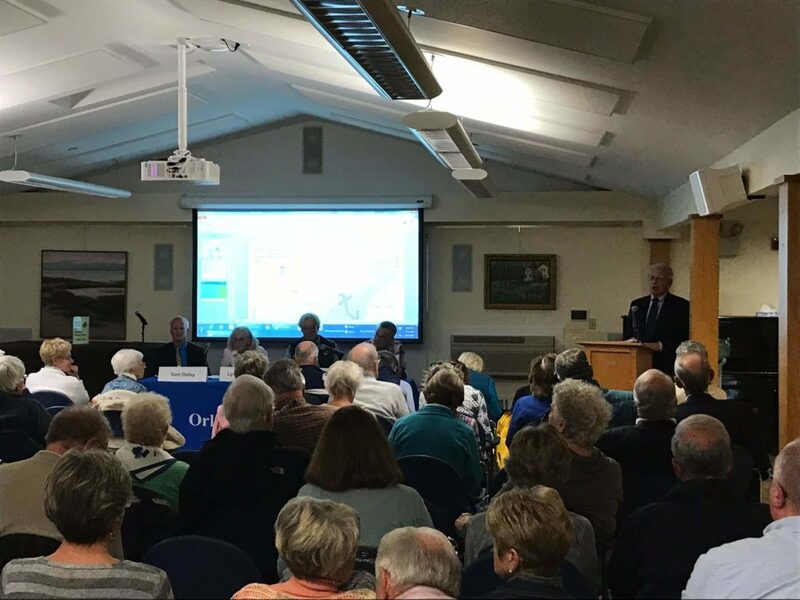 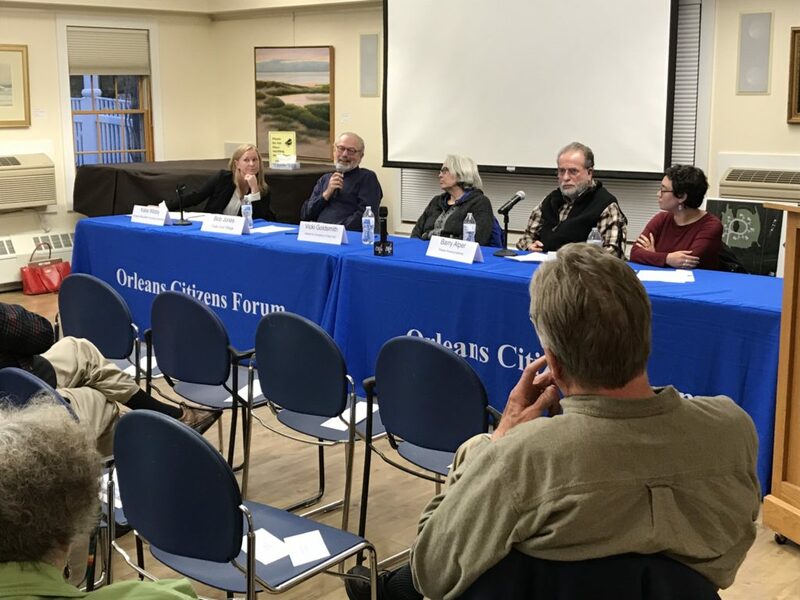 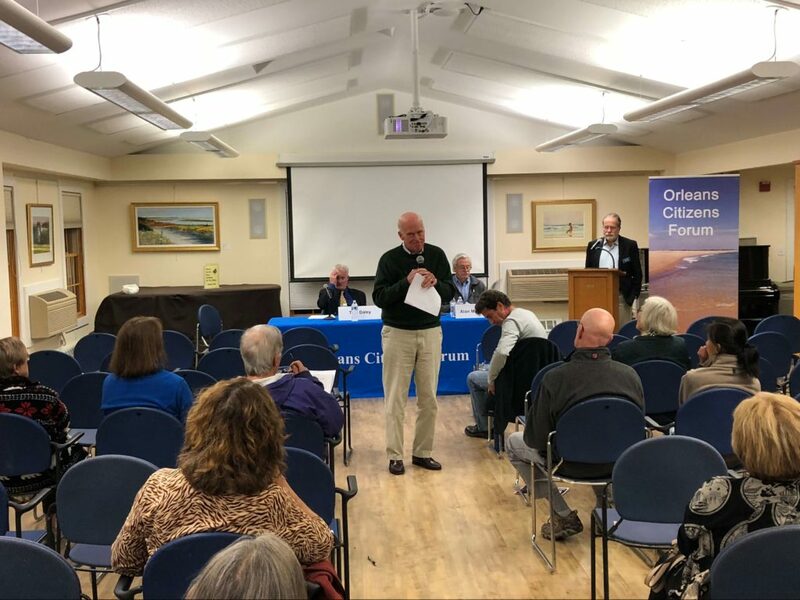 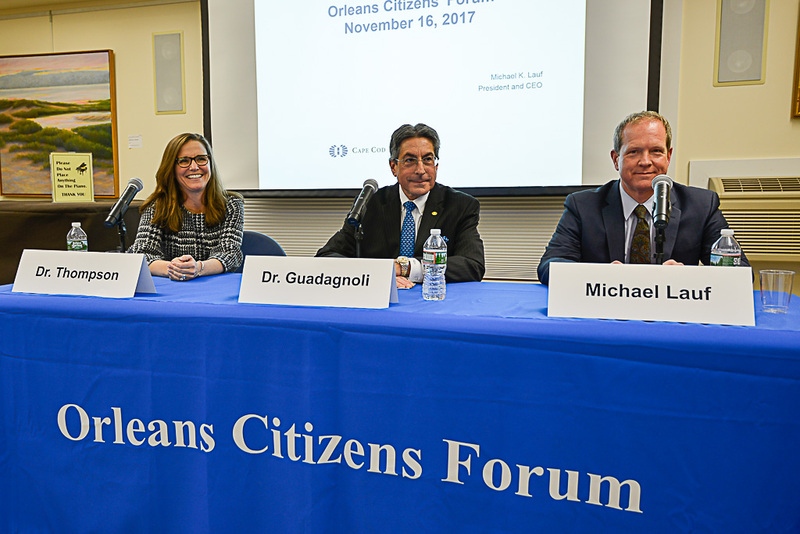 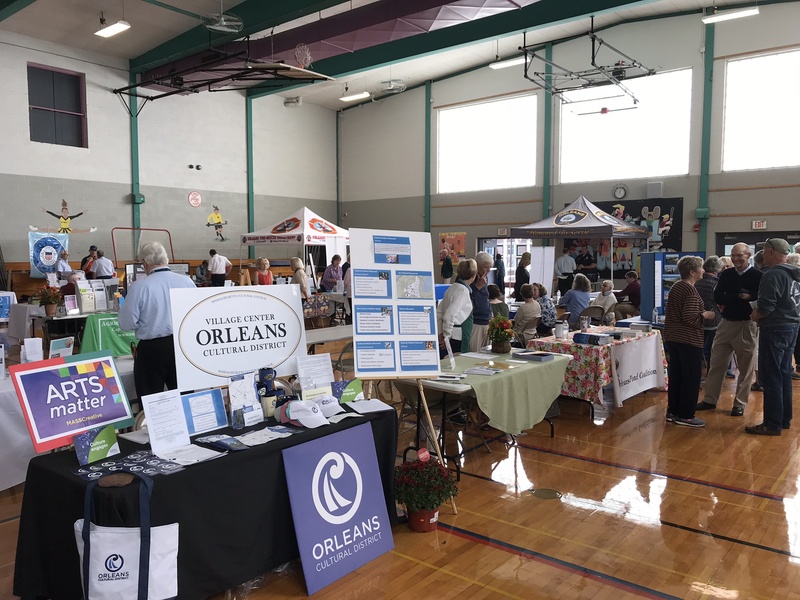 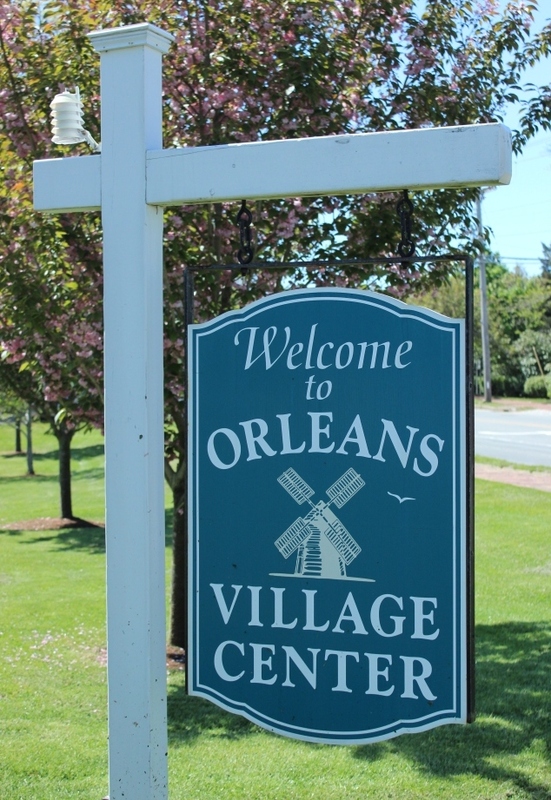 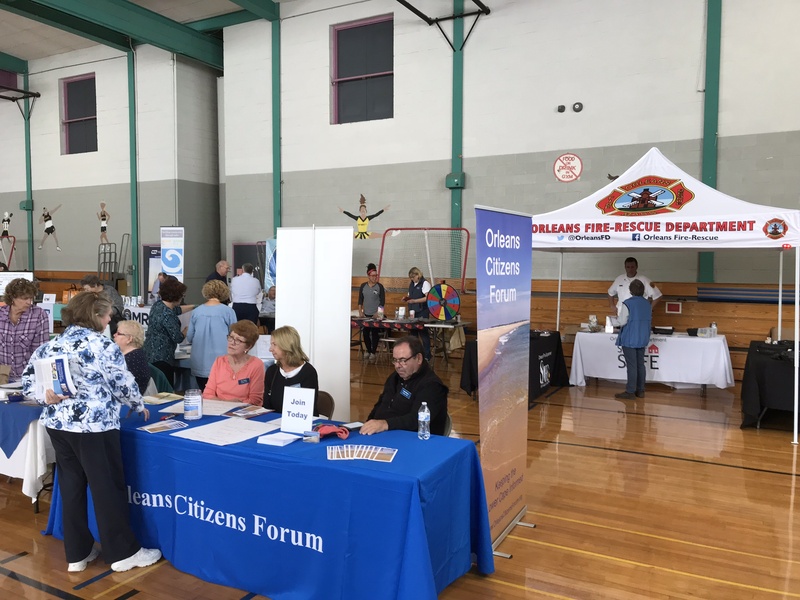 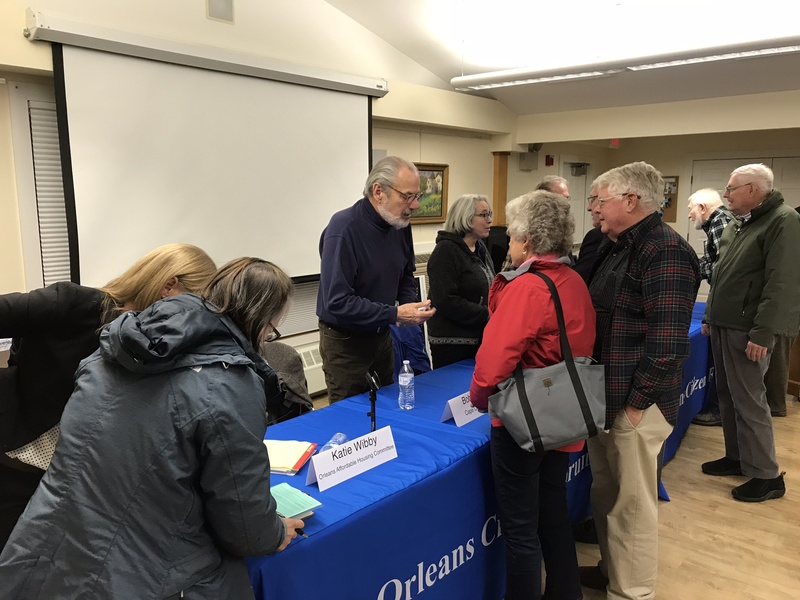 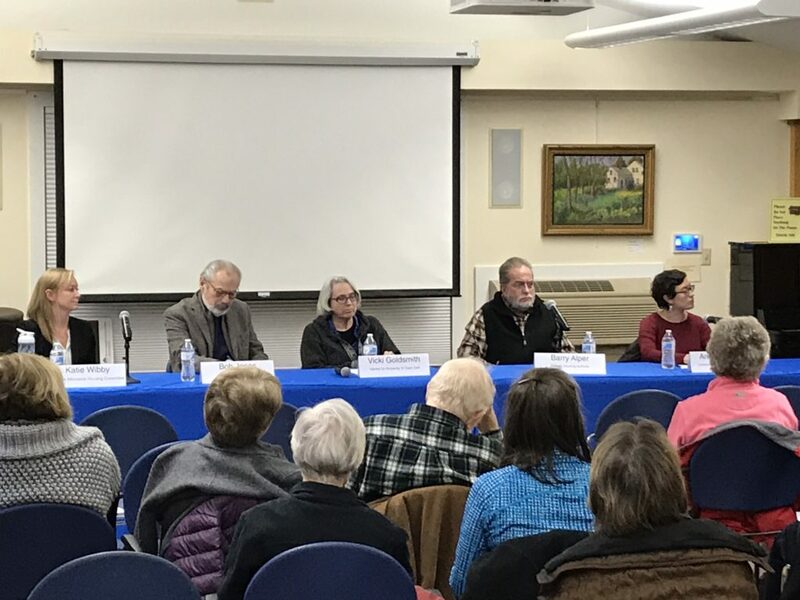 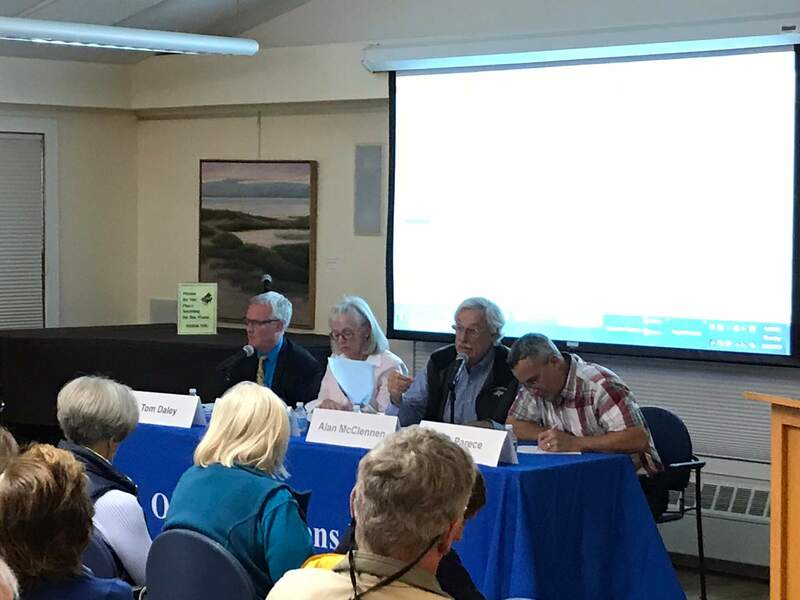 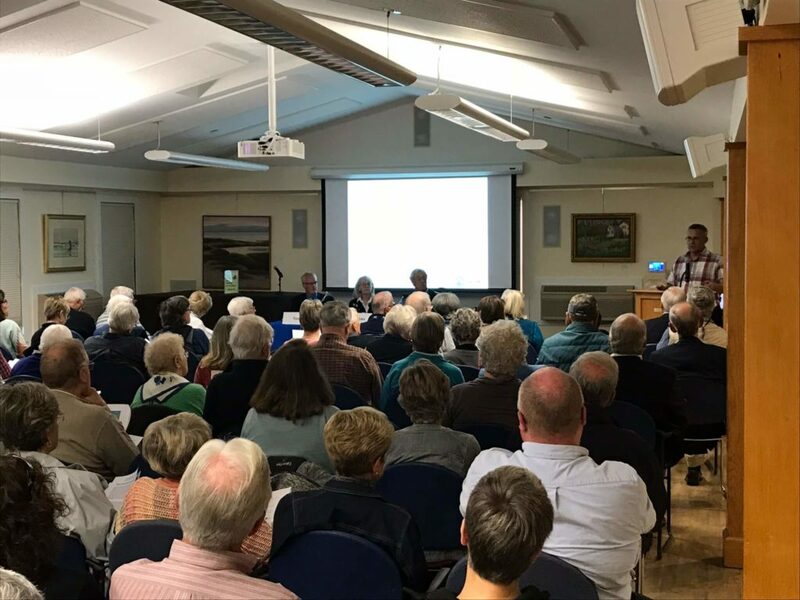 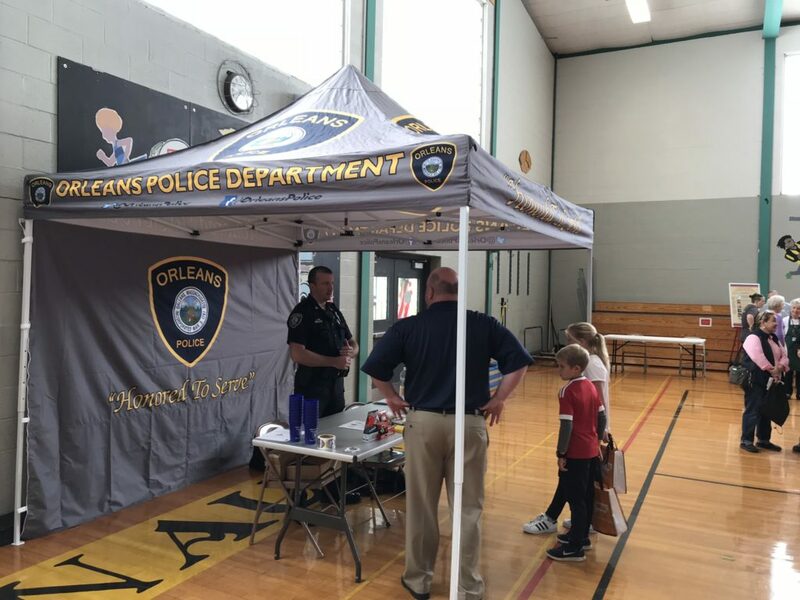 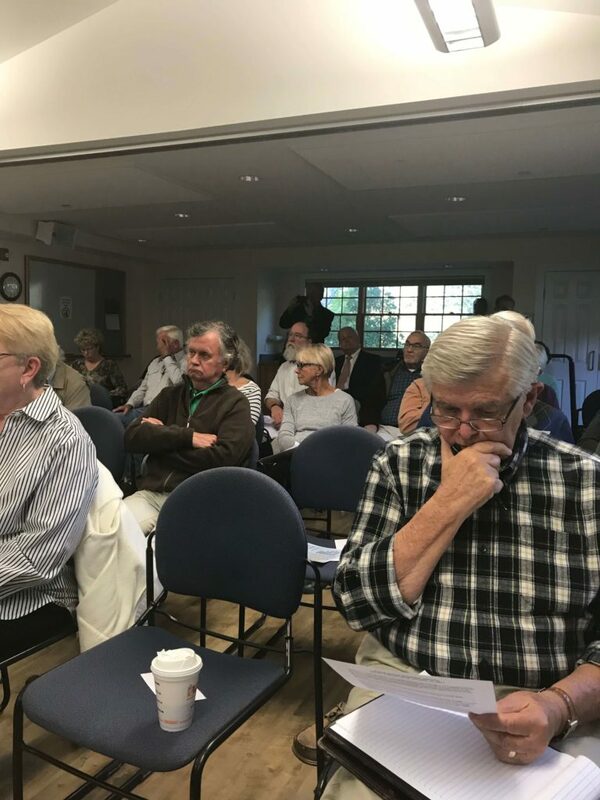 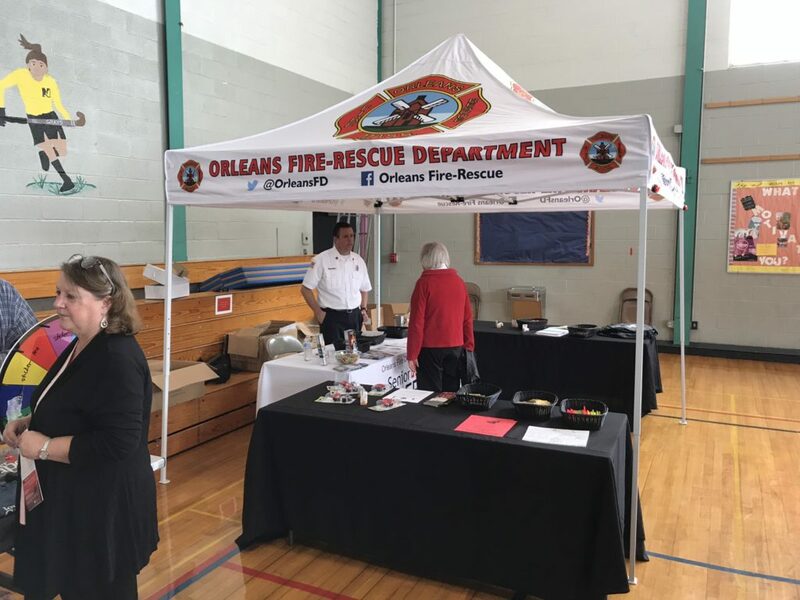 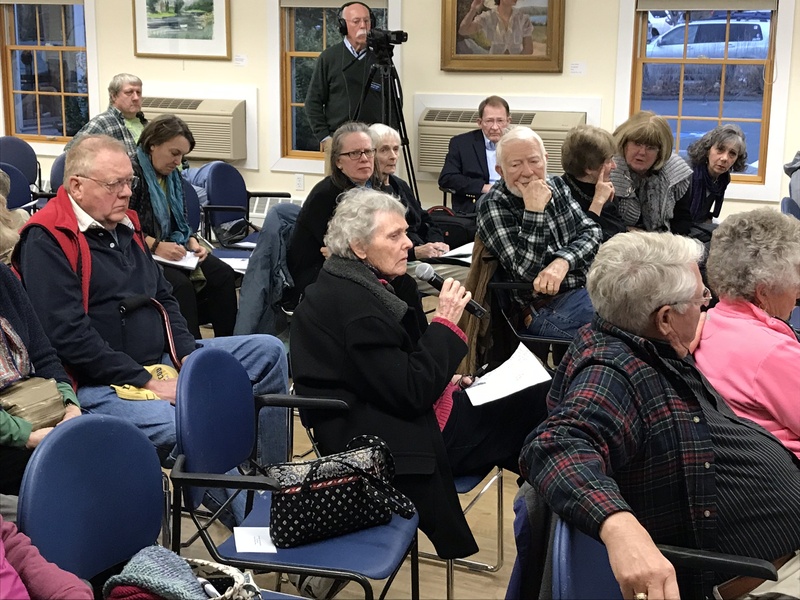 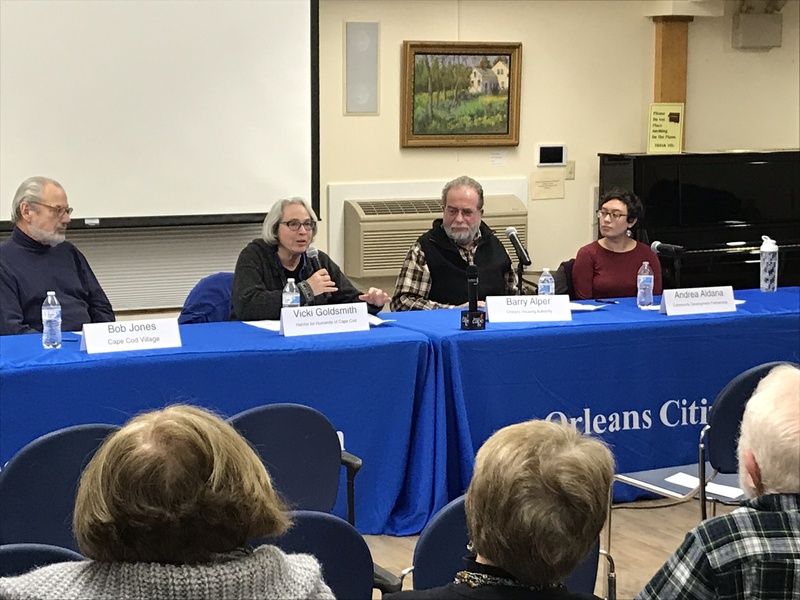 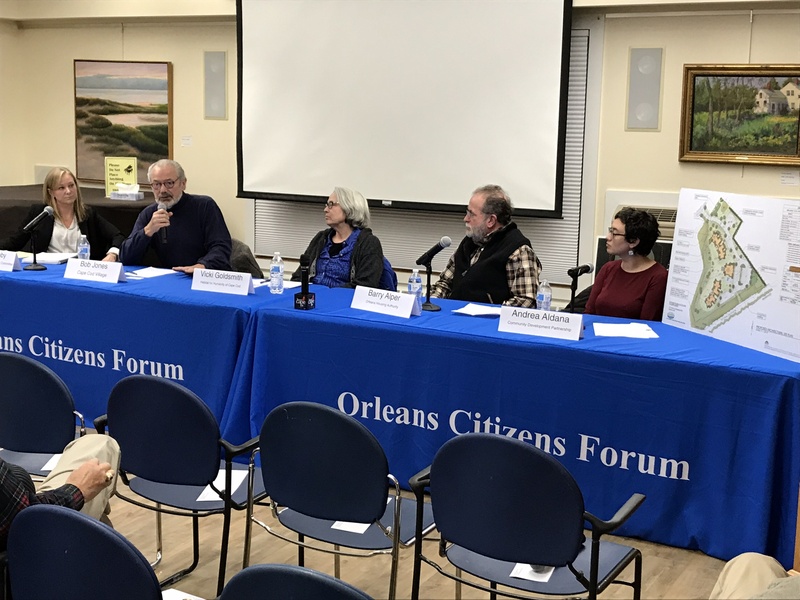 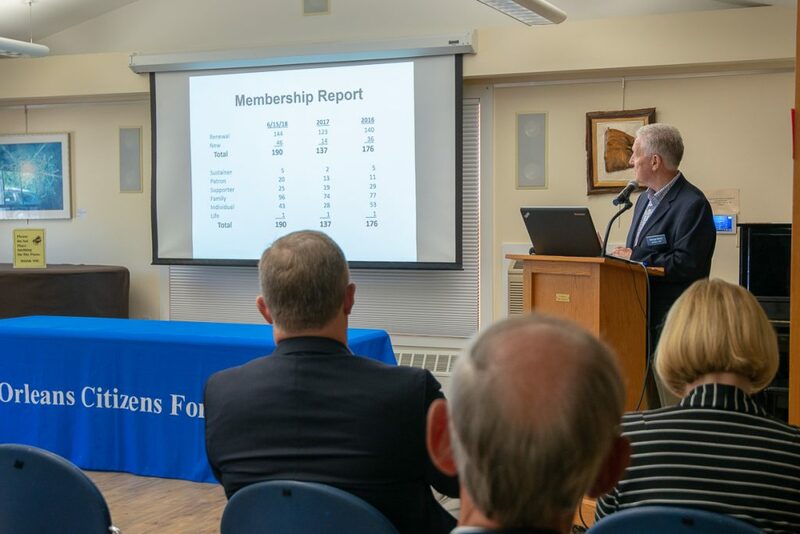 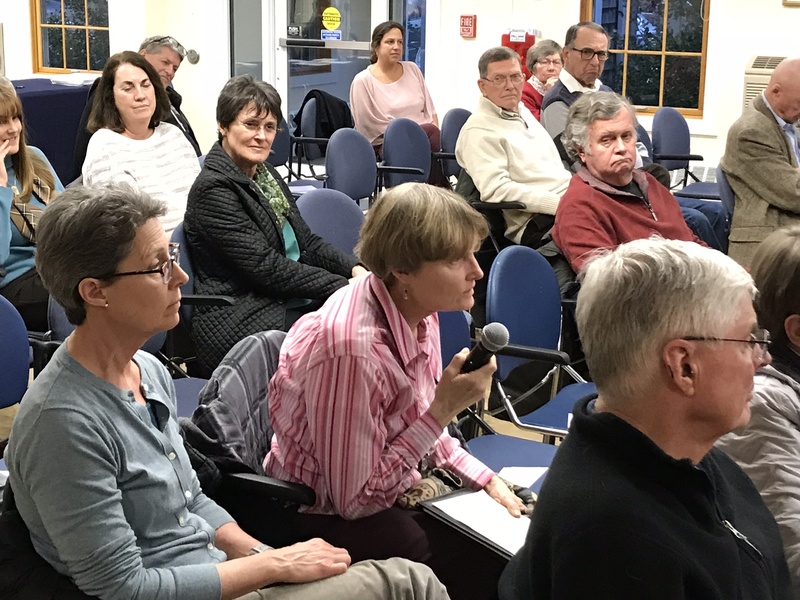 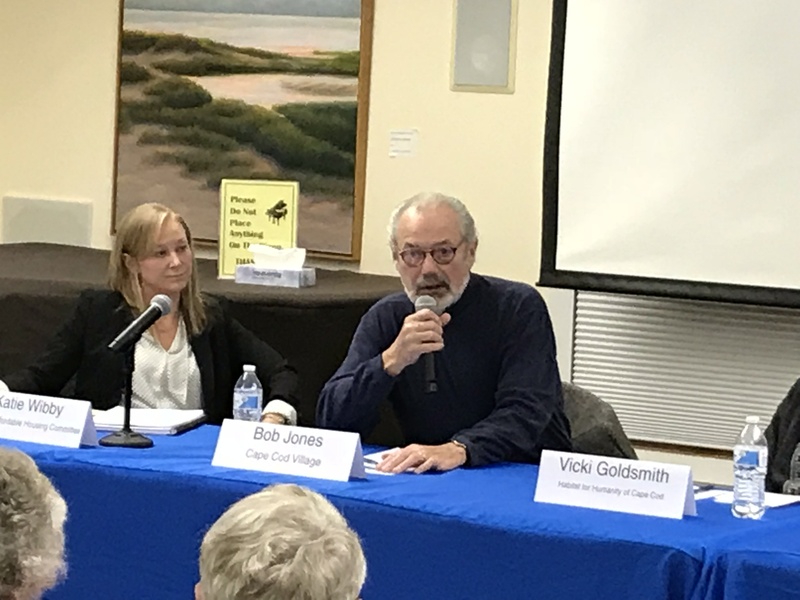 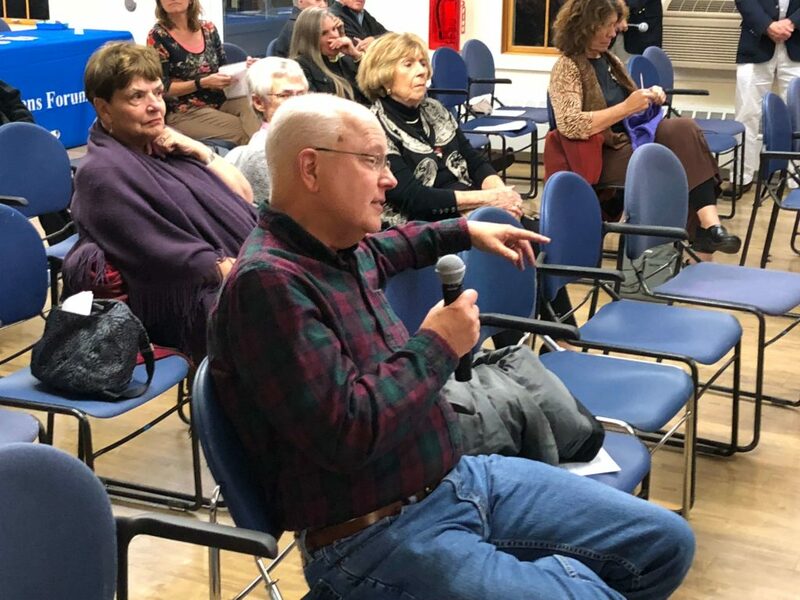 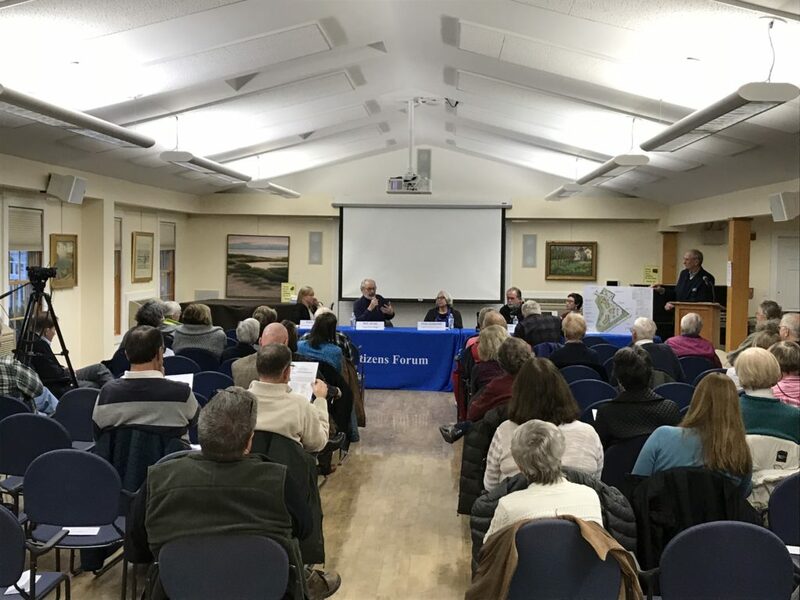 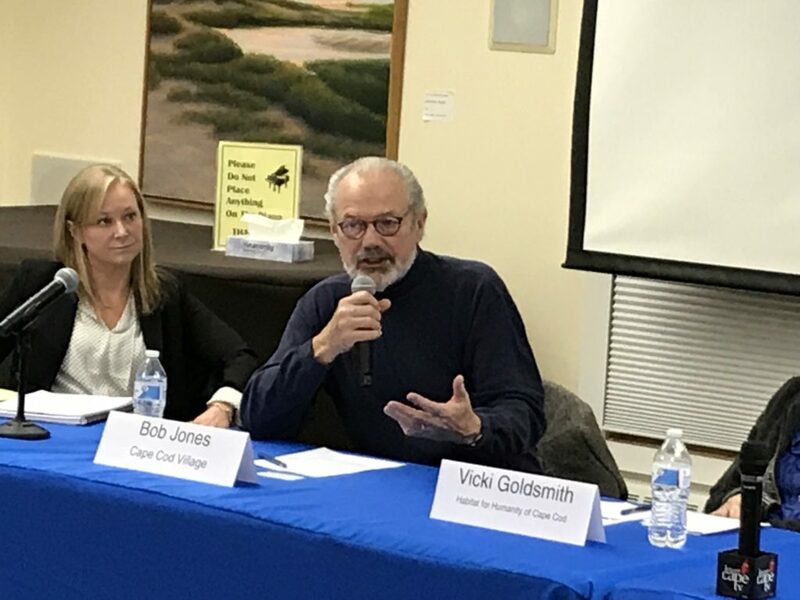 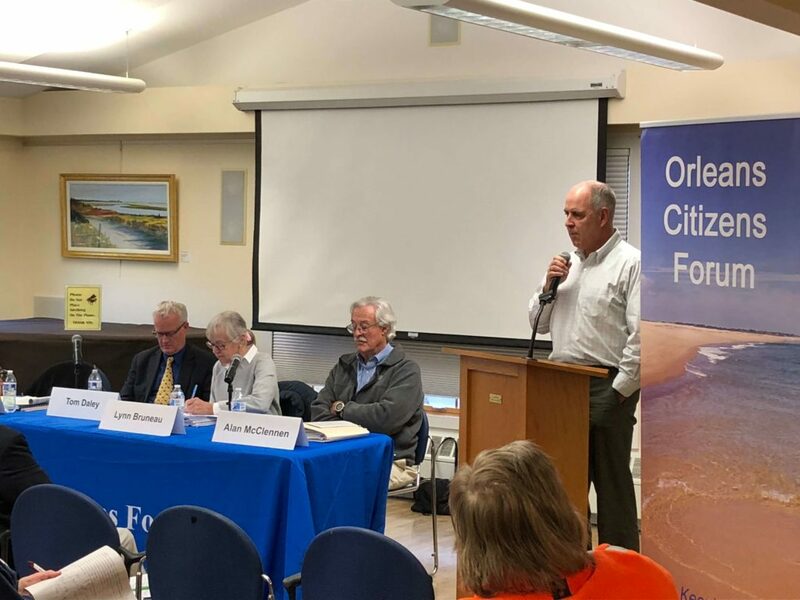 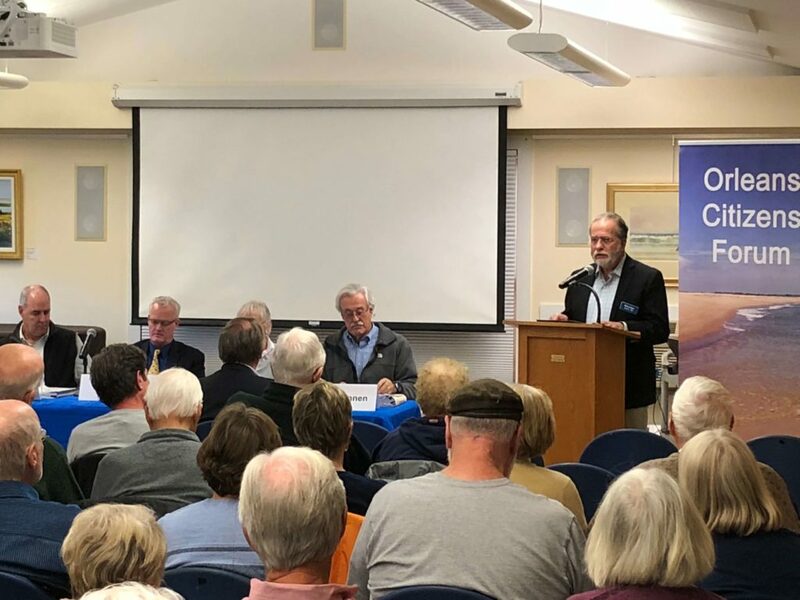 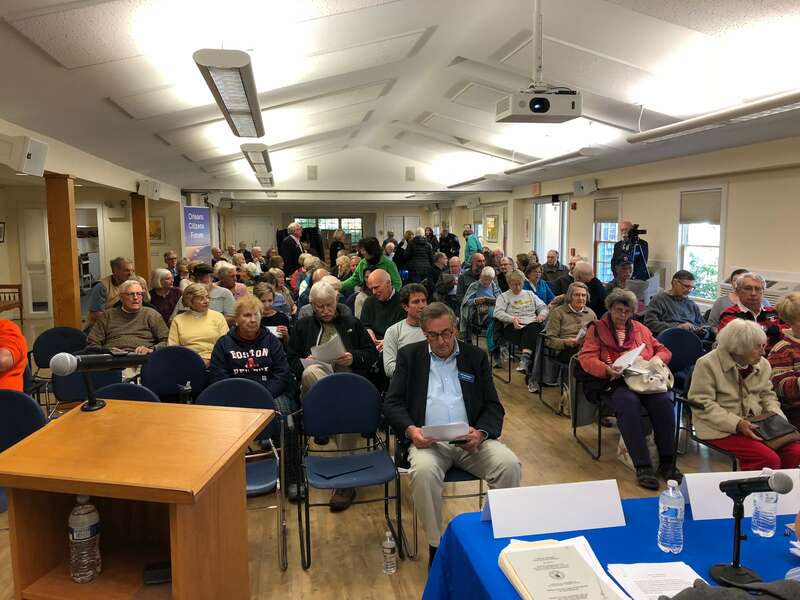 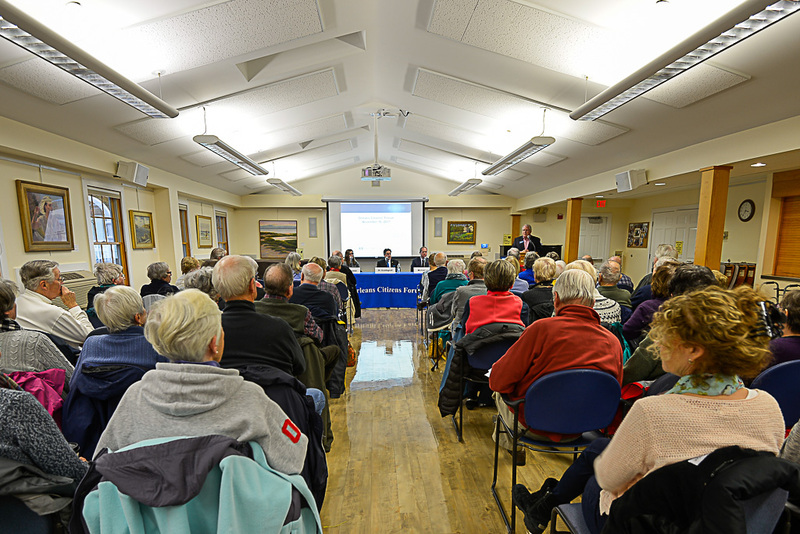 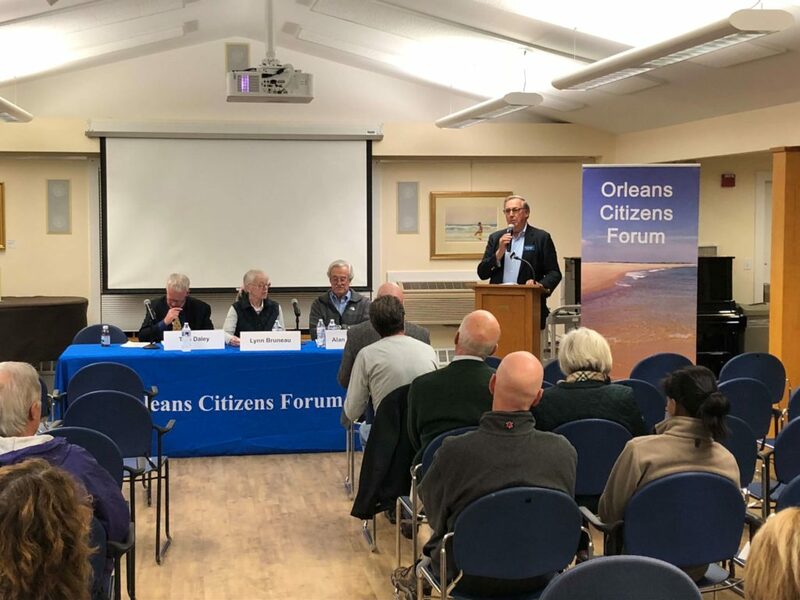 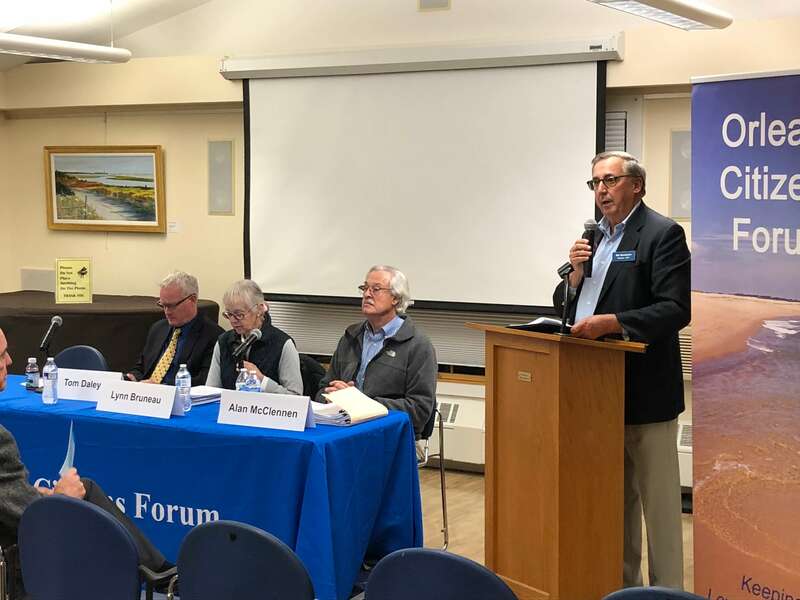 The Orleans Citizens Forum is an all-volunteer, independent and non-partisan organization that provides public forums on topics important to the quality of life. 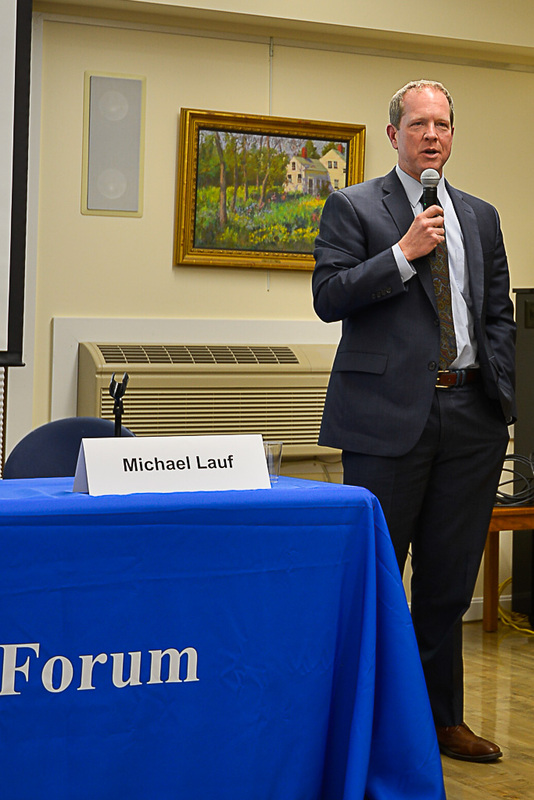 Photos of the two forum sessions appear below. 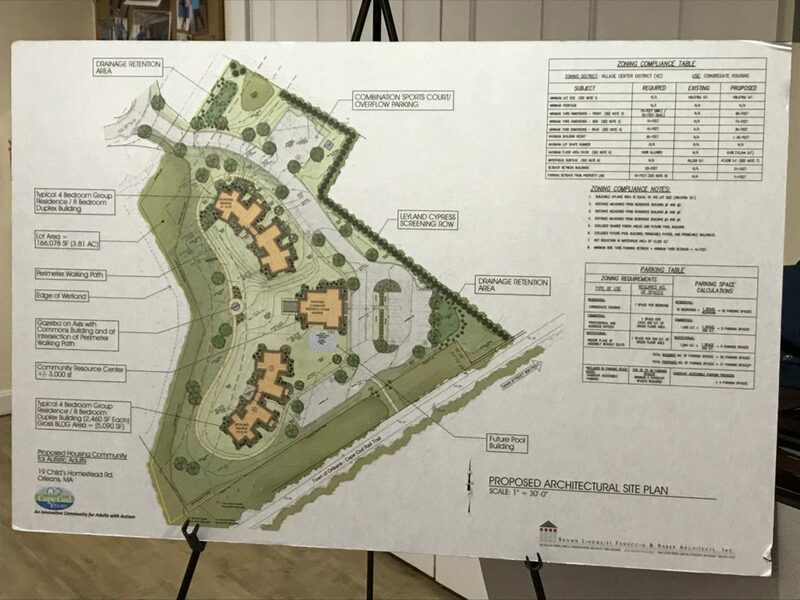 Click on any thumbnail to enlarge the pictures. 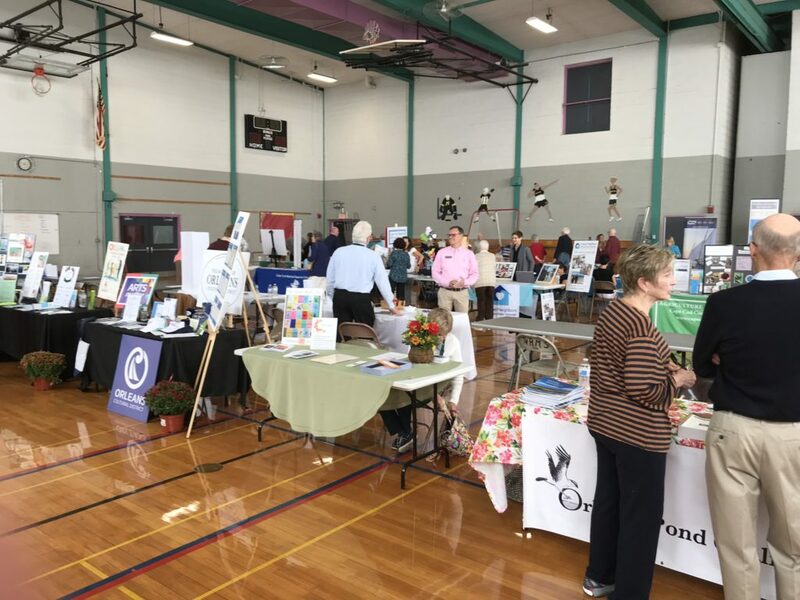 On a beautiful fall Saturday morning, over 250 people participated in this year’s Quality of Life Expo. 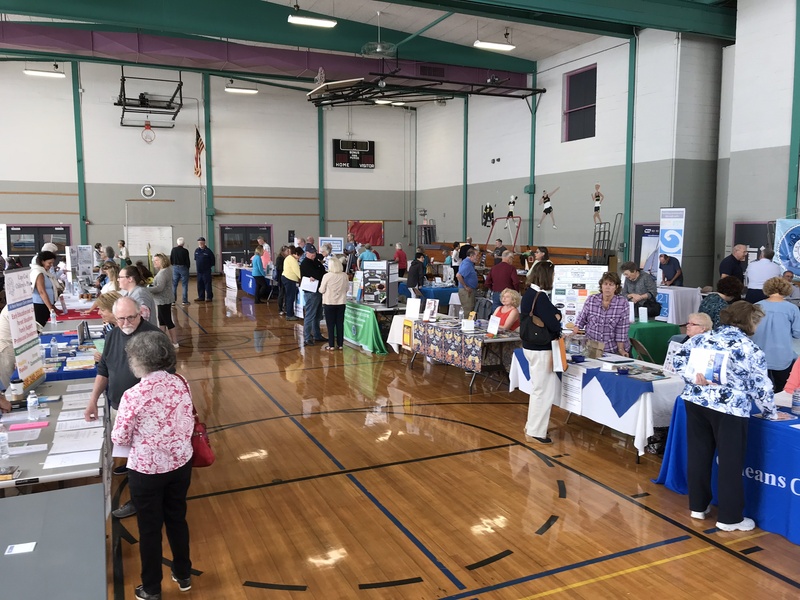 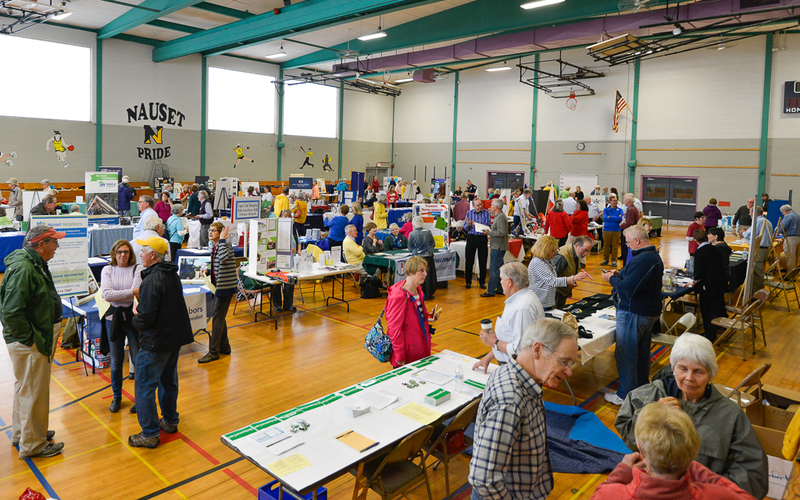 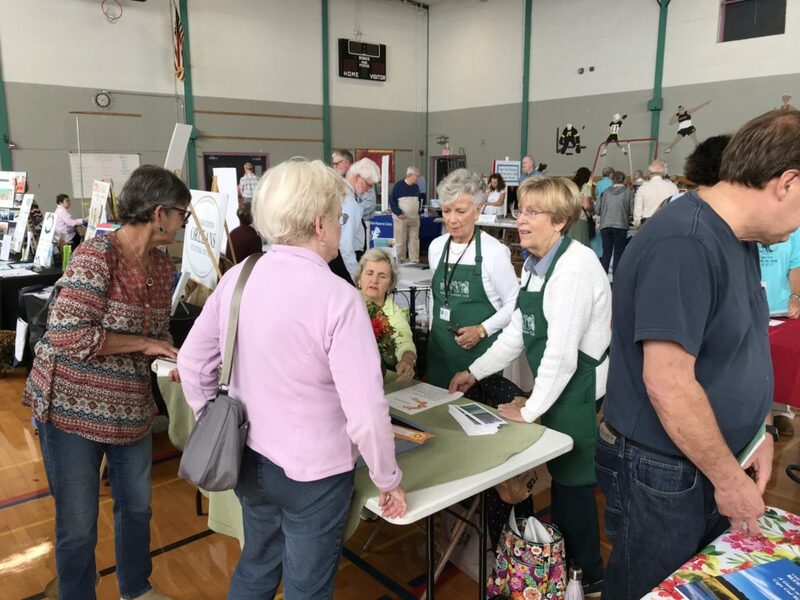 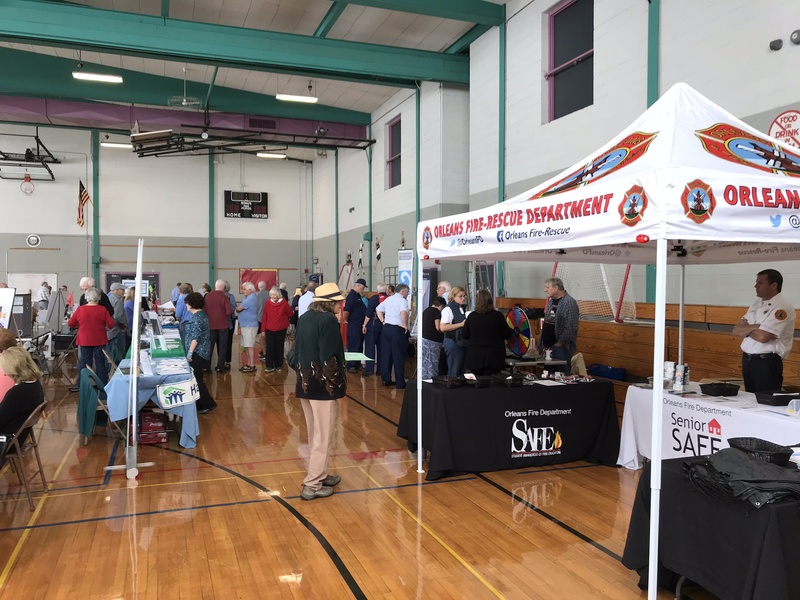 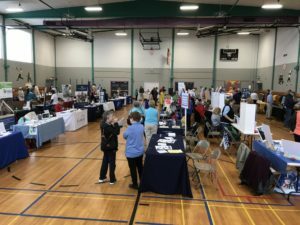 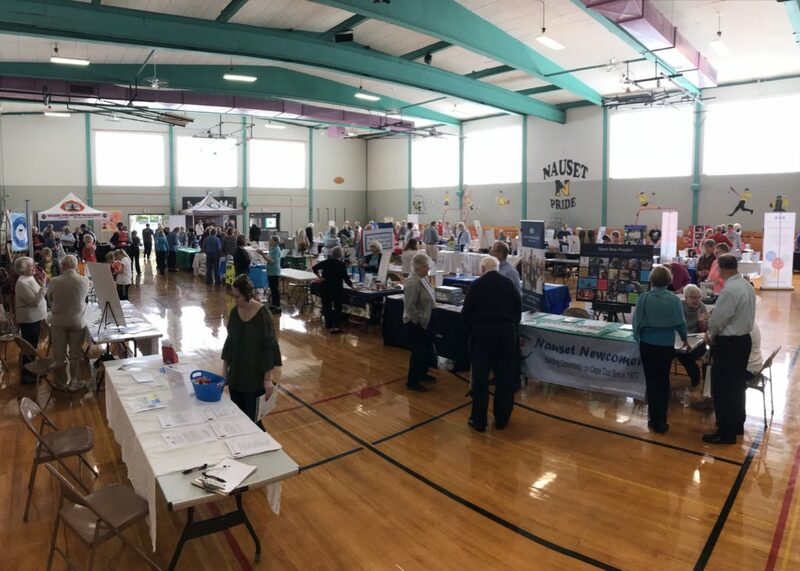 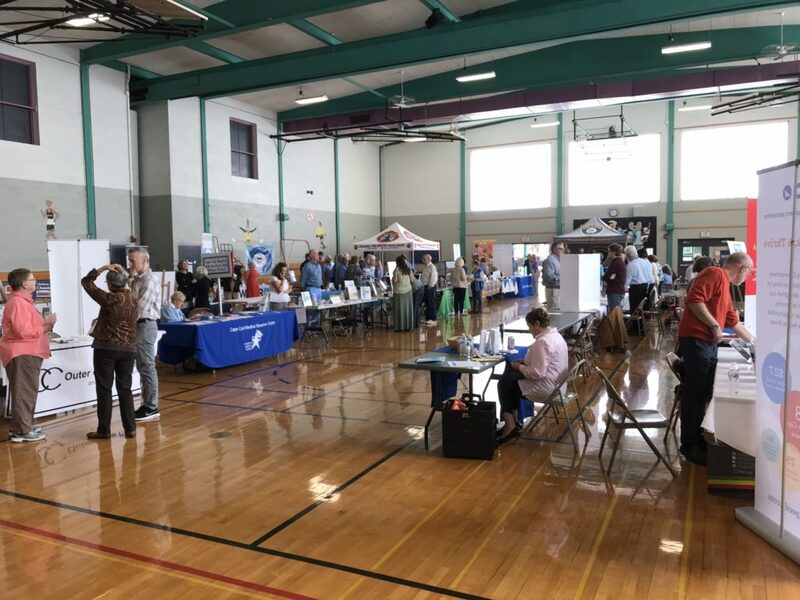 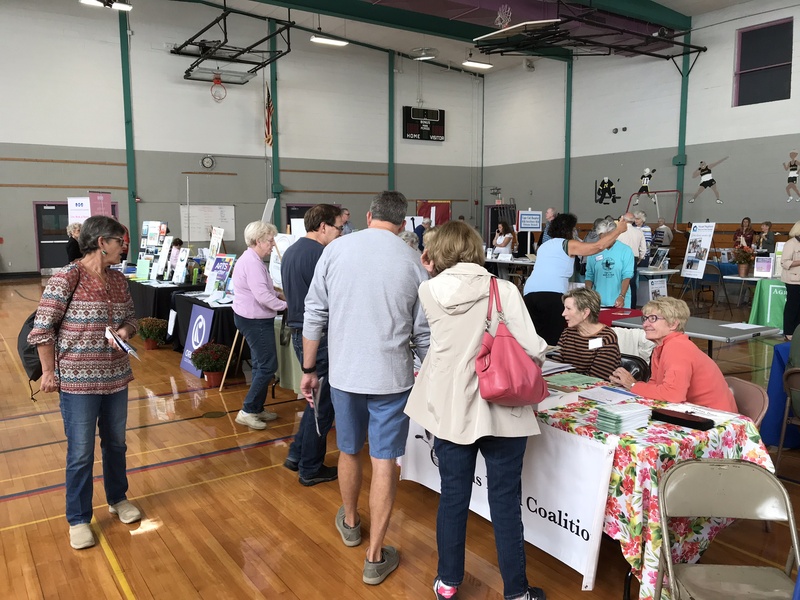 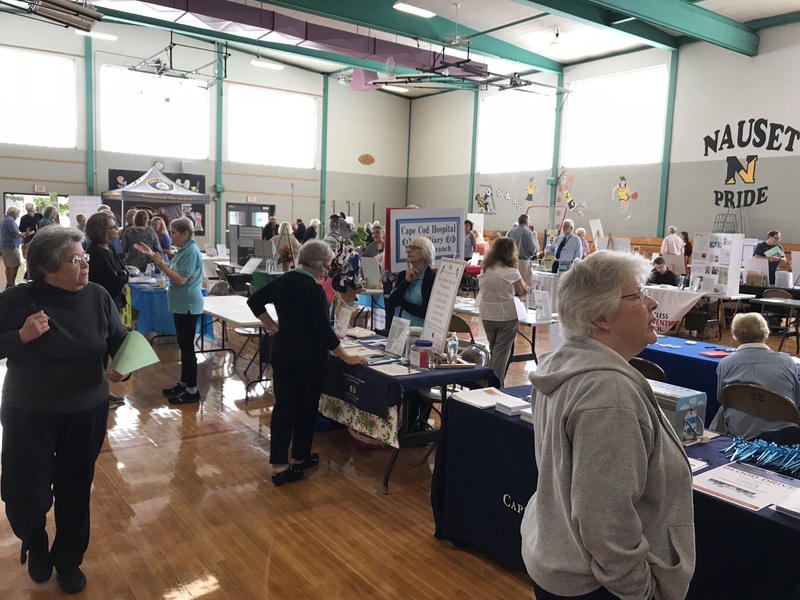 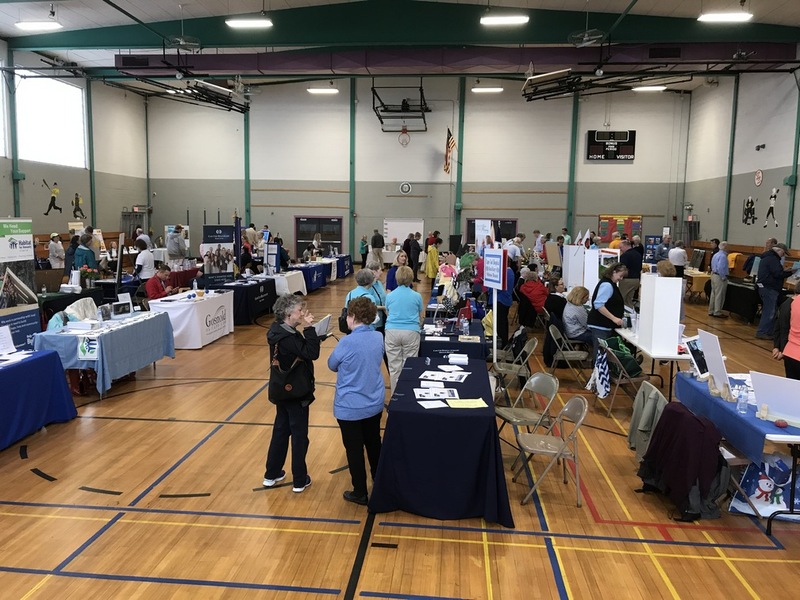 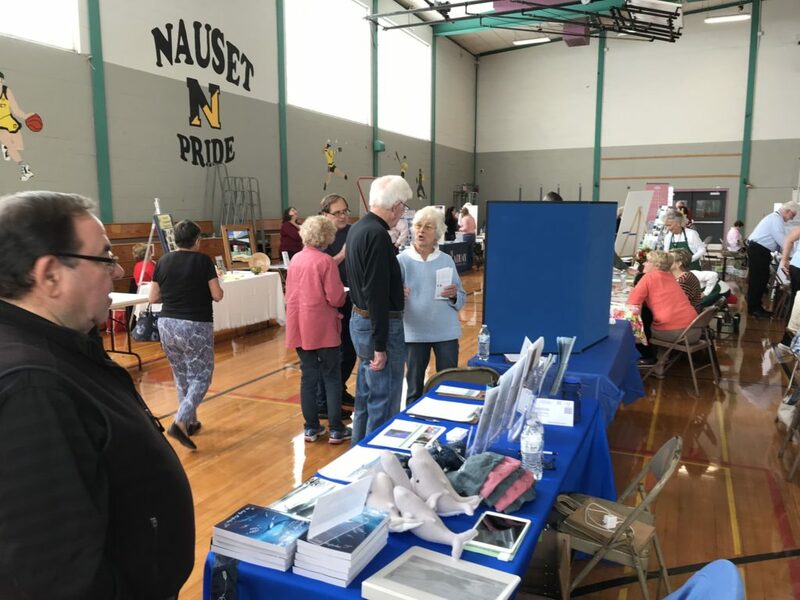 The Gym at the Nauset Middle School hosted over 50 exhibitors from across the Cape, representing a cross-section of non-profits, cultural and service organizations that impact the quality of life of Cape Cod. Many thanks to all of the great organizations that participated in this year’s event. 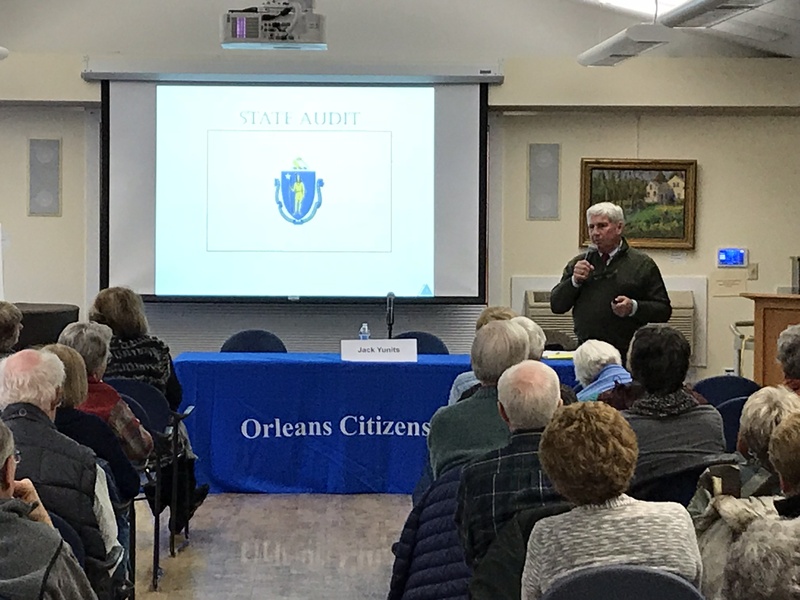 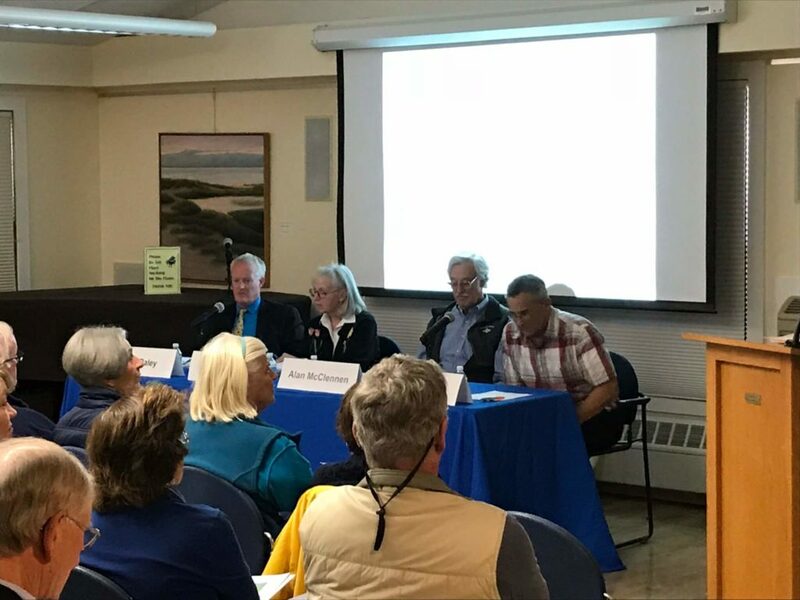 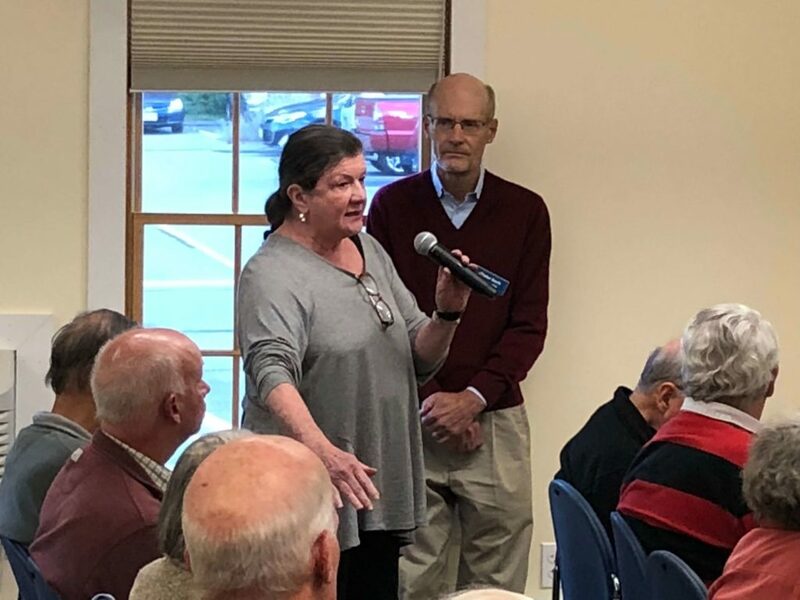 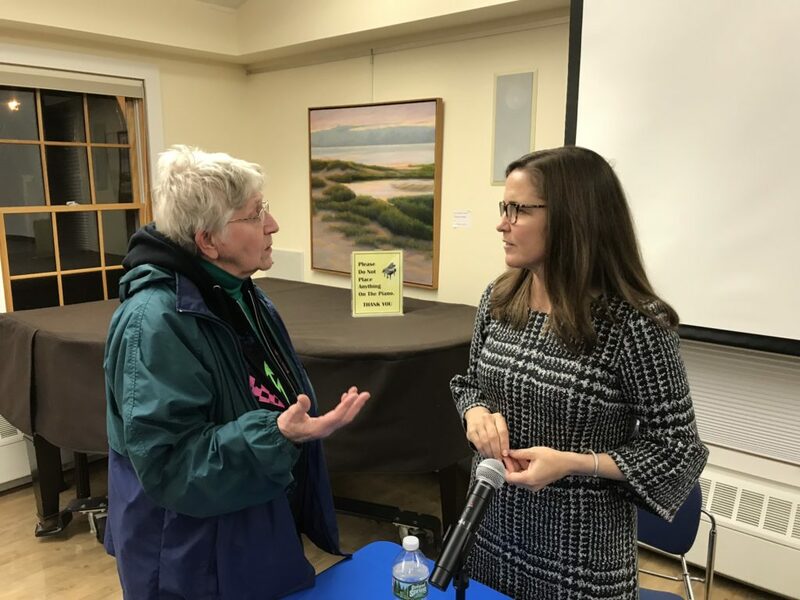 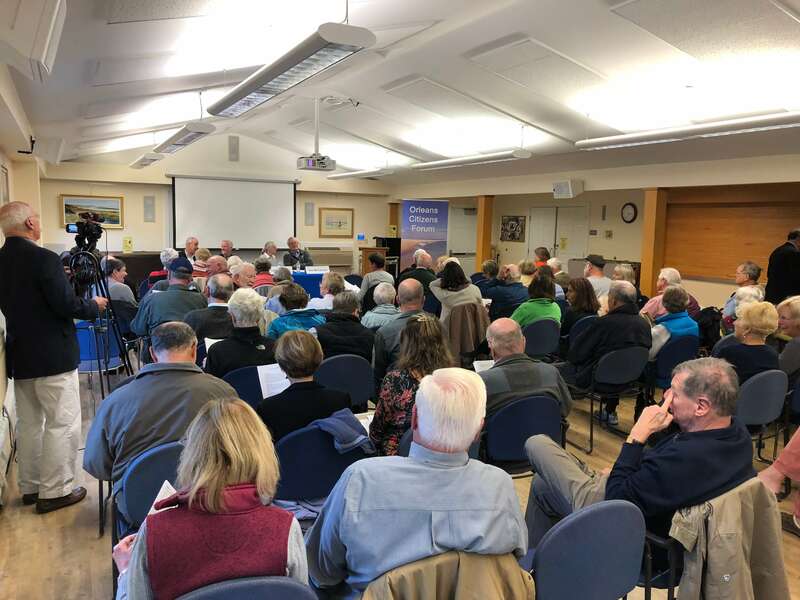 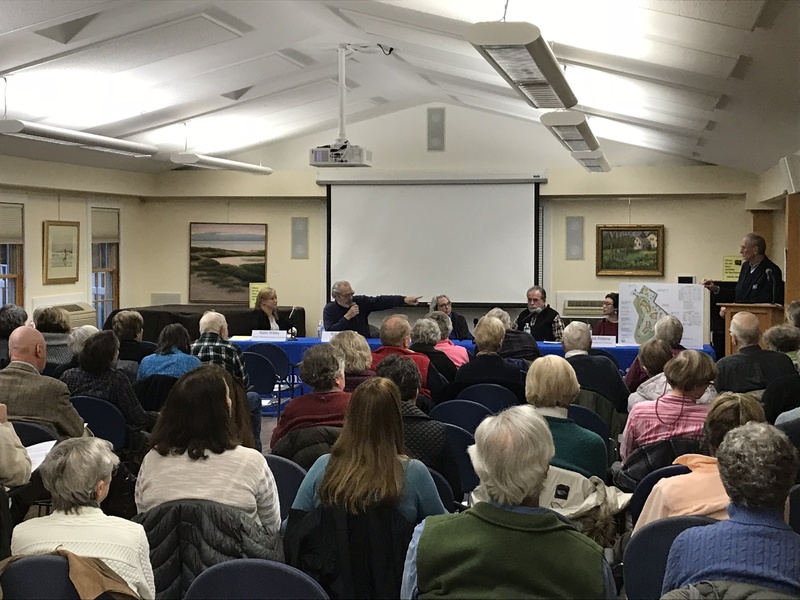 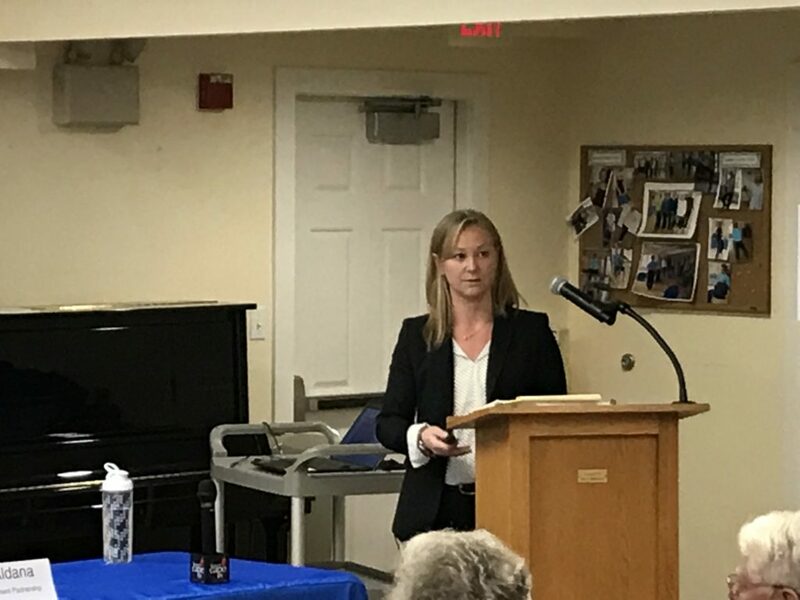 Over 75 people attended this important and informative forum on the status of medical treatment and care for all Cape Codders. 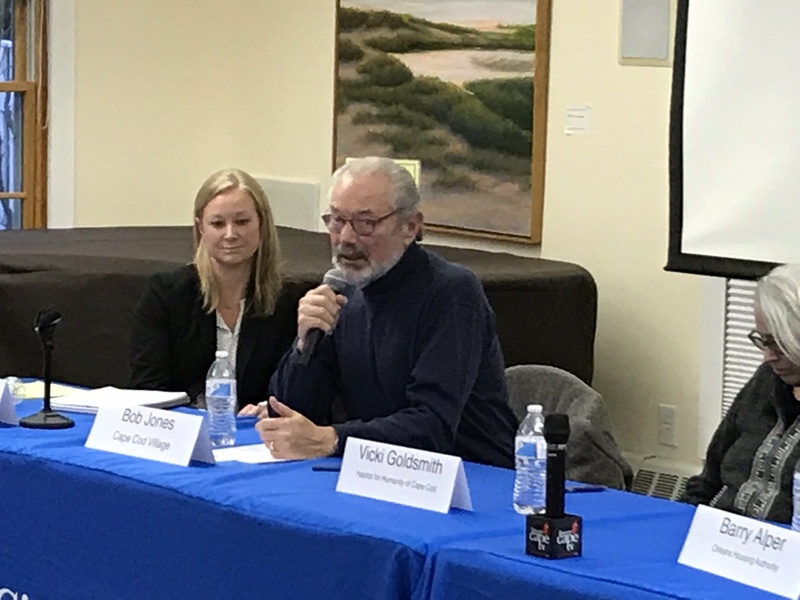 A phenomenal leadership panel from Cape Cod Healthcare presented the state of medical services and treatment here on the Cape and explained what is yet to come. 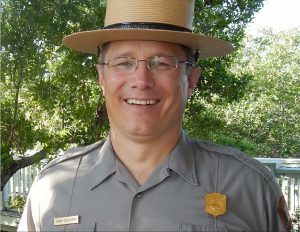 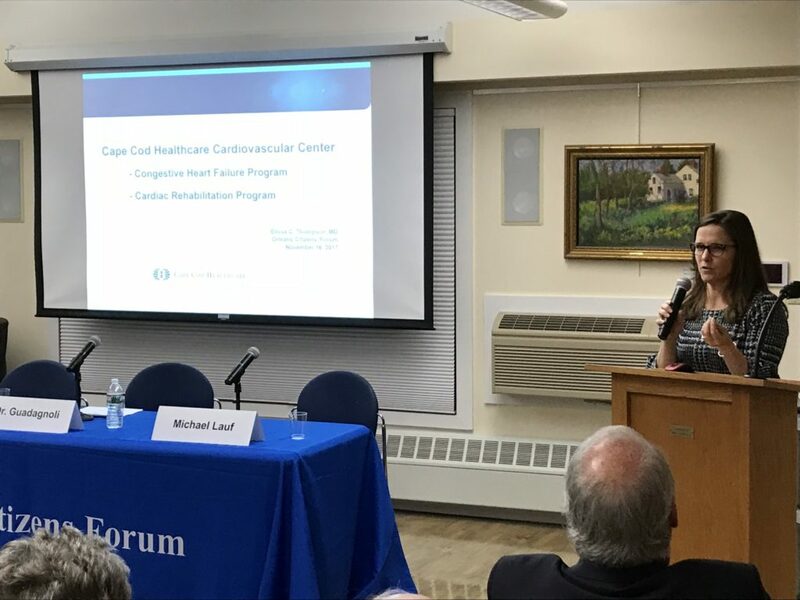 Michael K. Lauf, President and CEO, Cape Cod Healthcare. 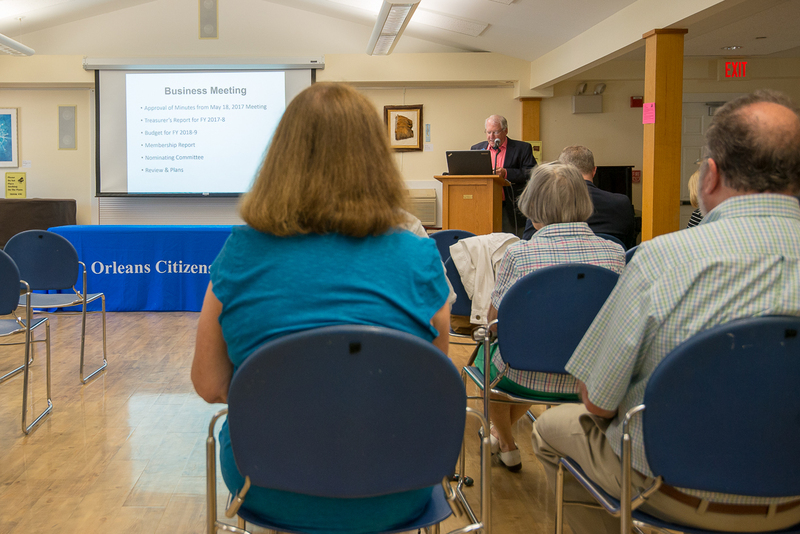 CCHC is a regional health system with more than 450 physicians and 5,300 employees. 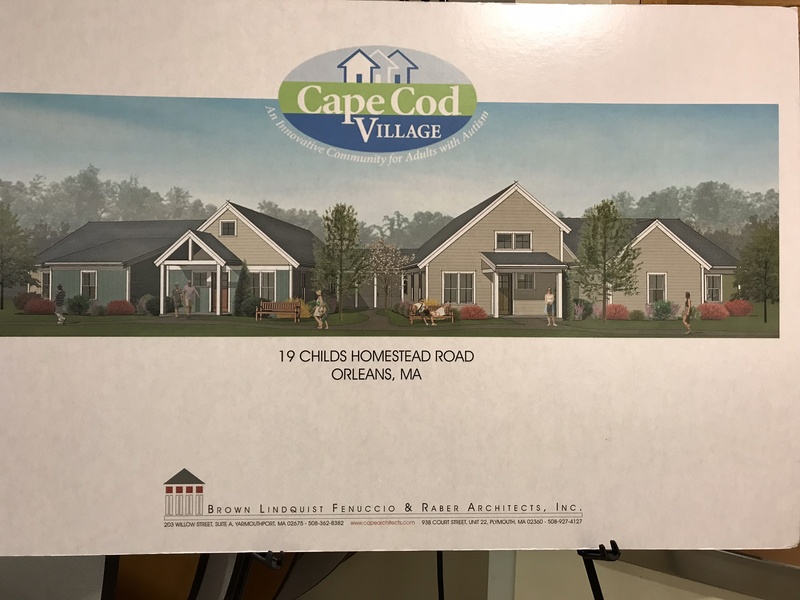 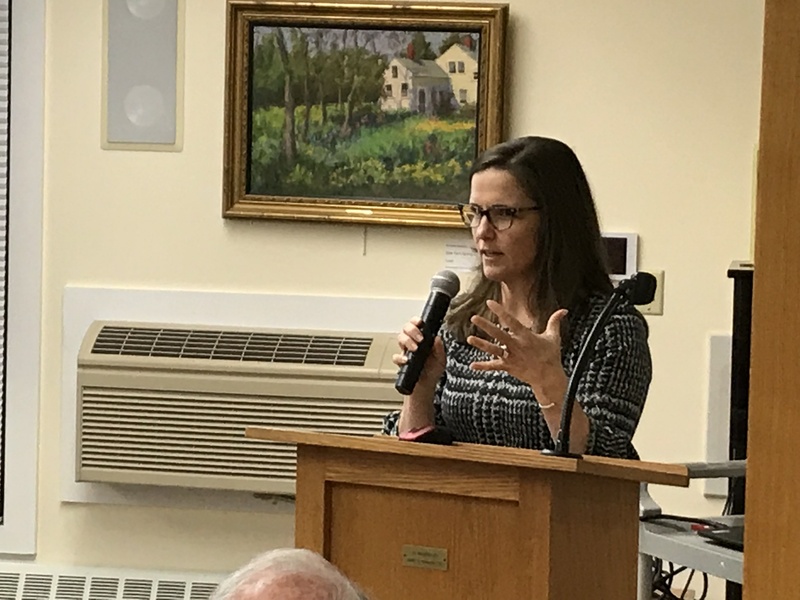 The system is comprised of two-acute care hospitals, four outpatient centers, the largest home health services agency on the Cape (VNA), a skilled nursing and rehabilitation facility, an assisted living facility and numerous health programs. 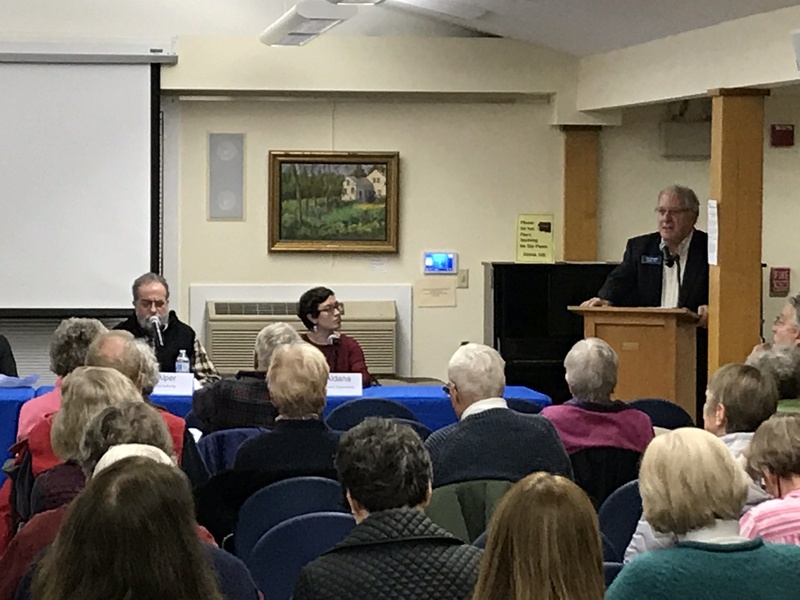 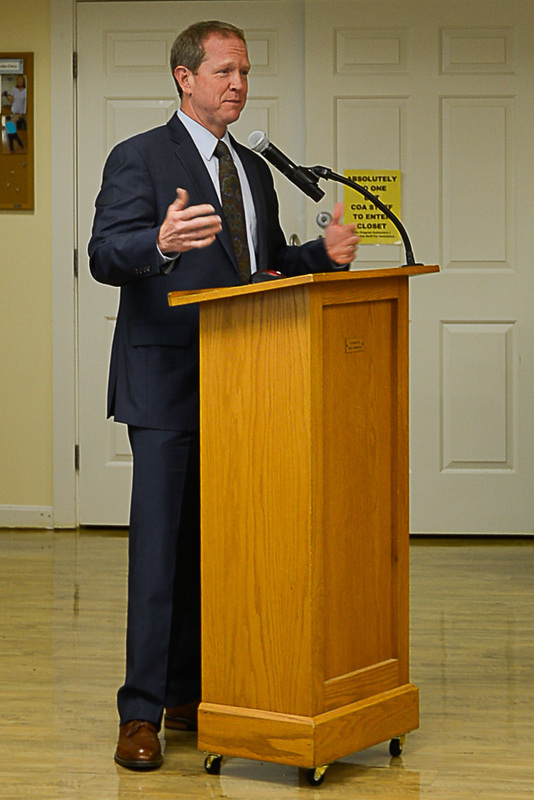 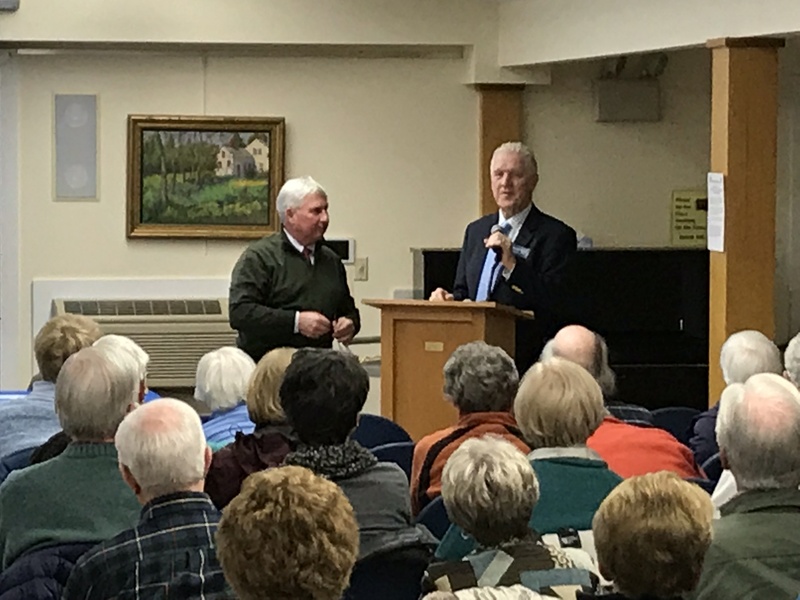 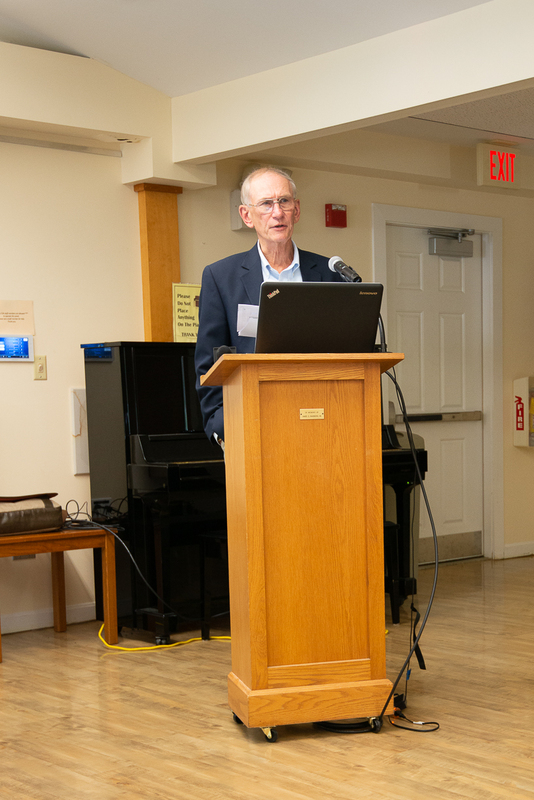 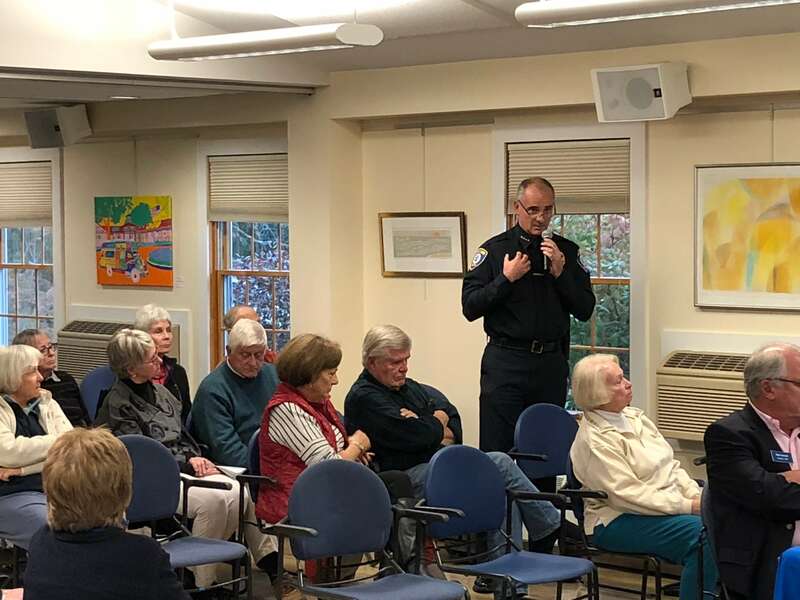 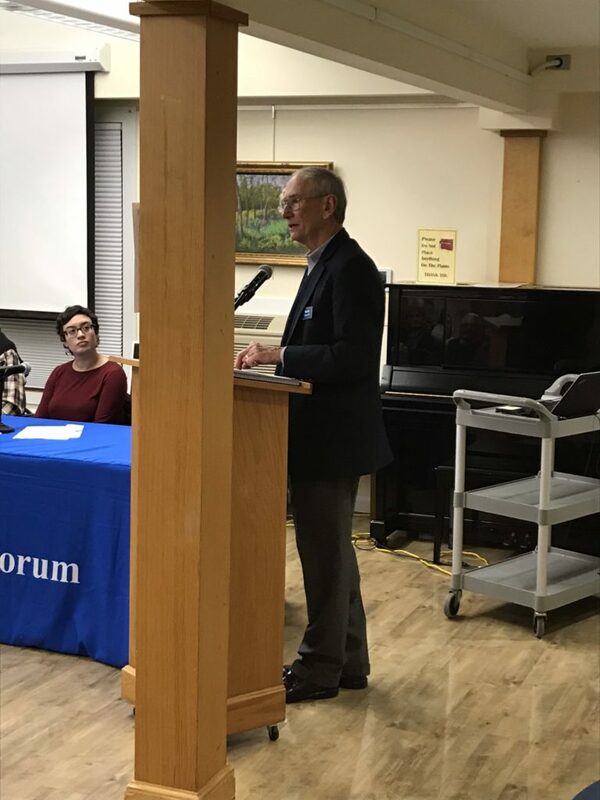 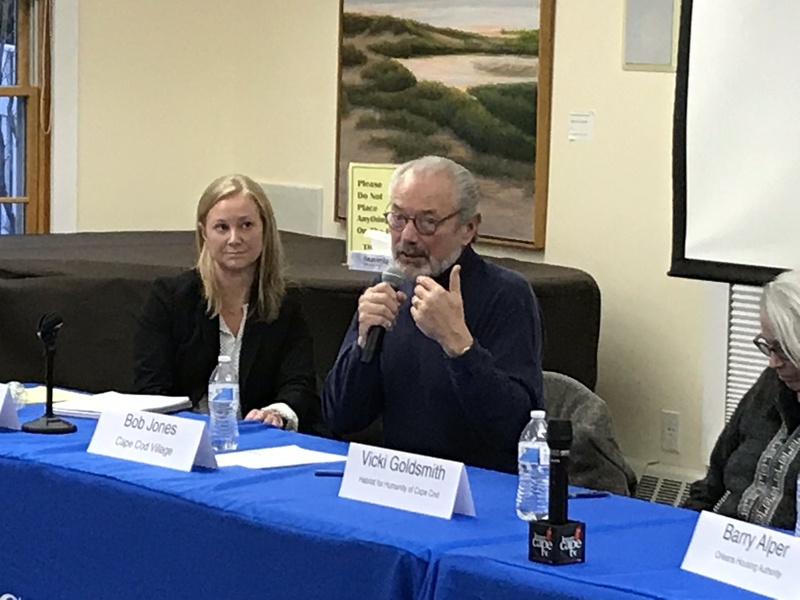 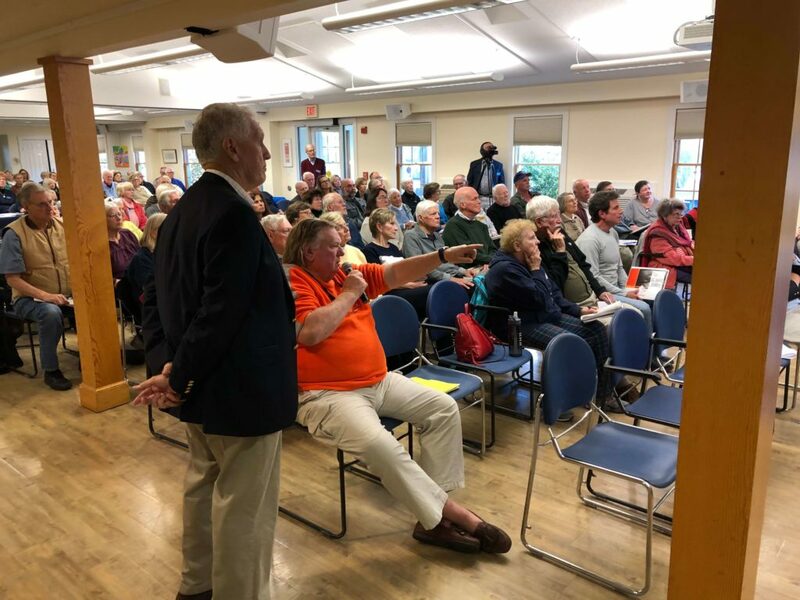 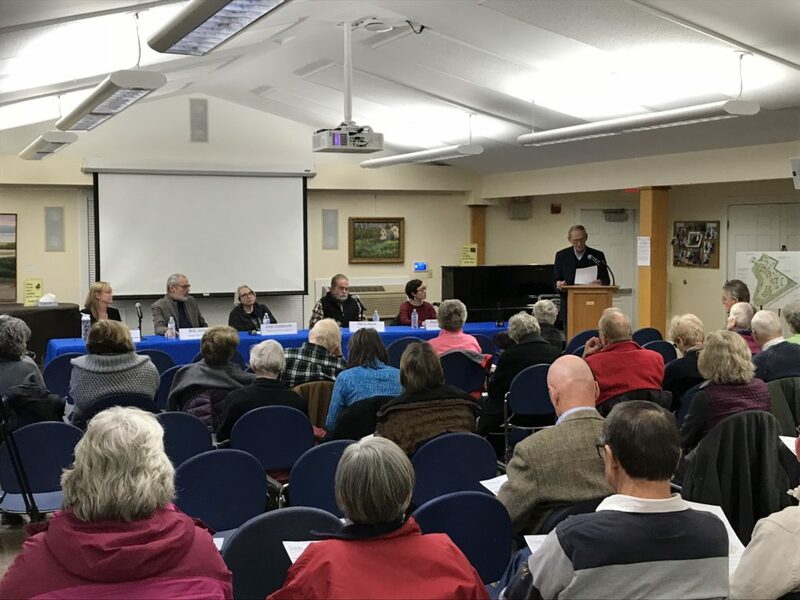 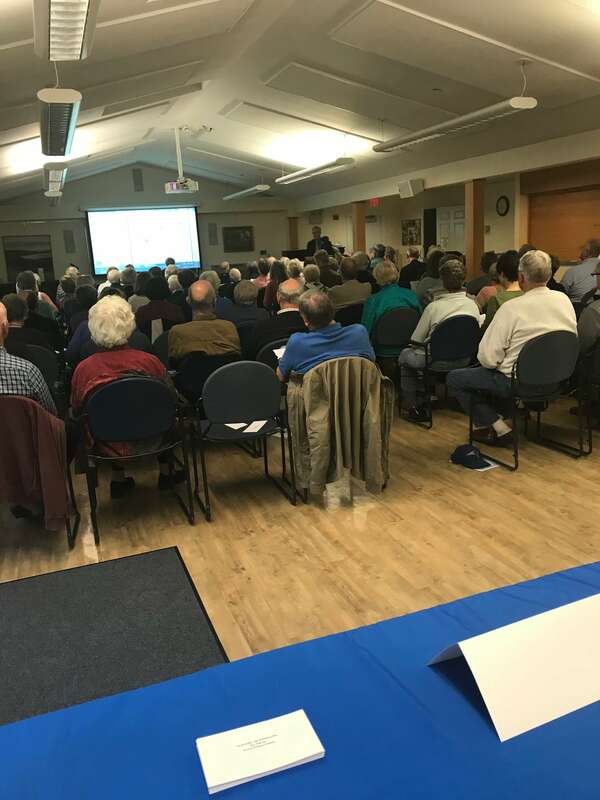 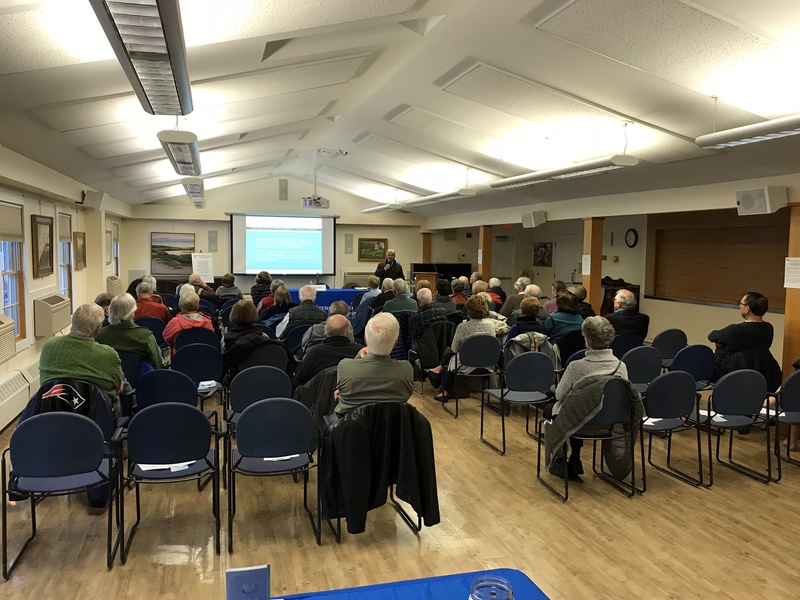 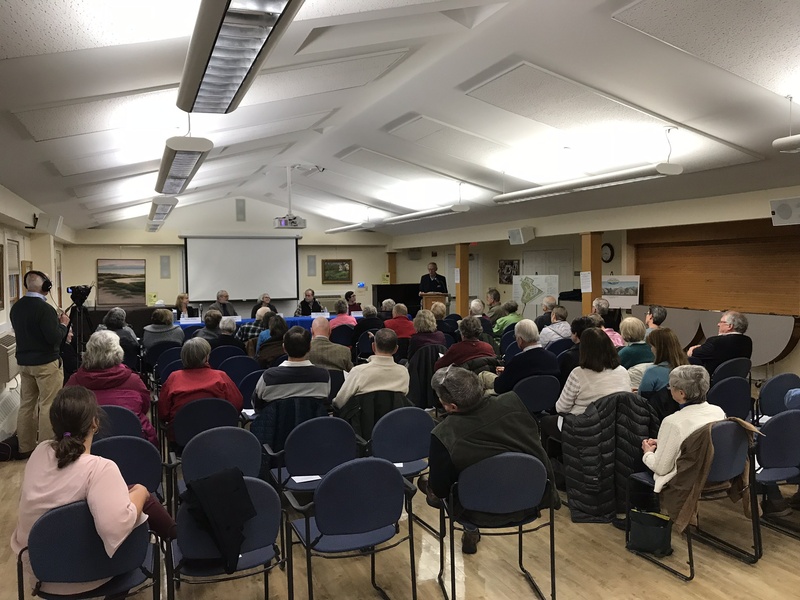 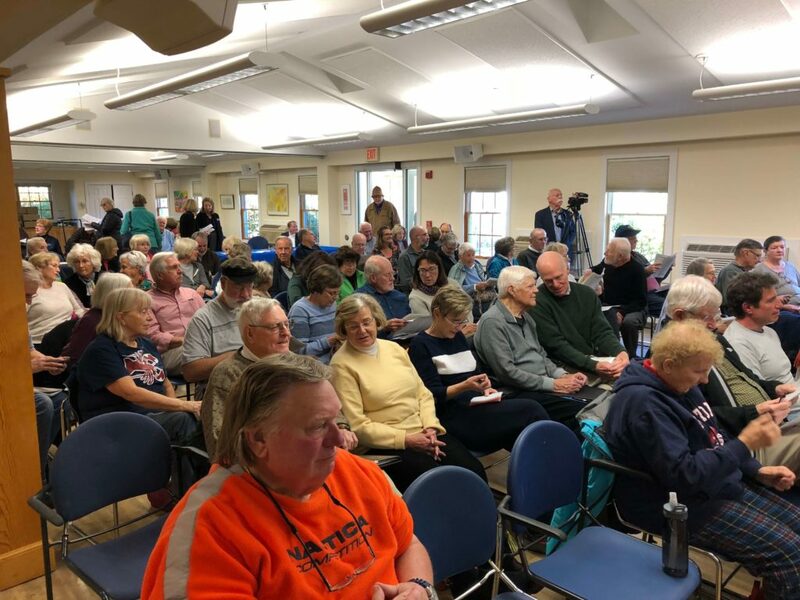 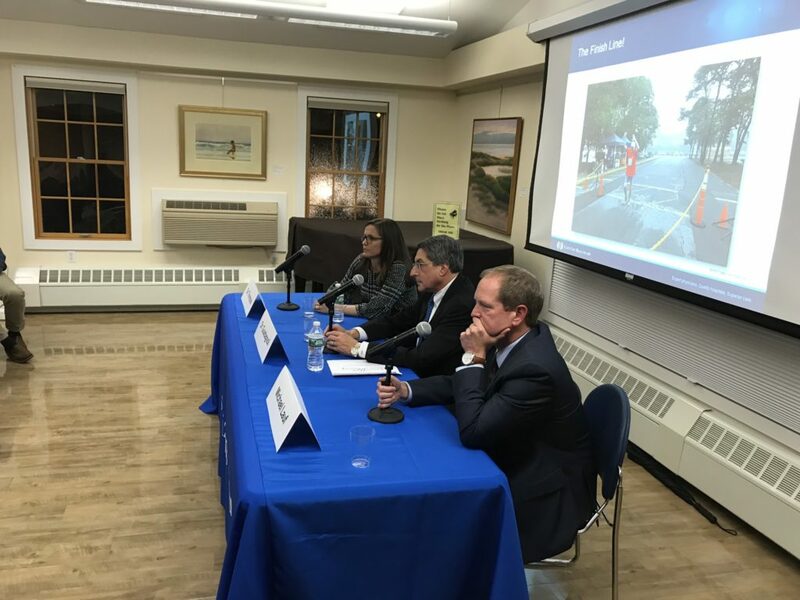 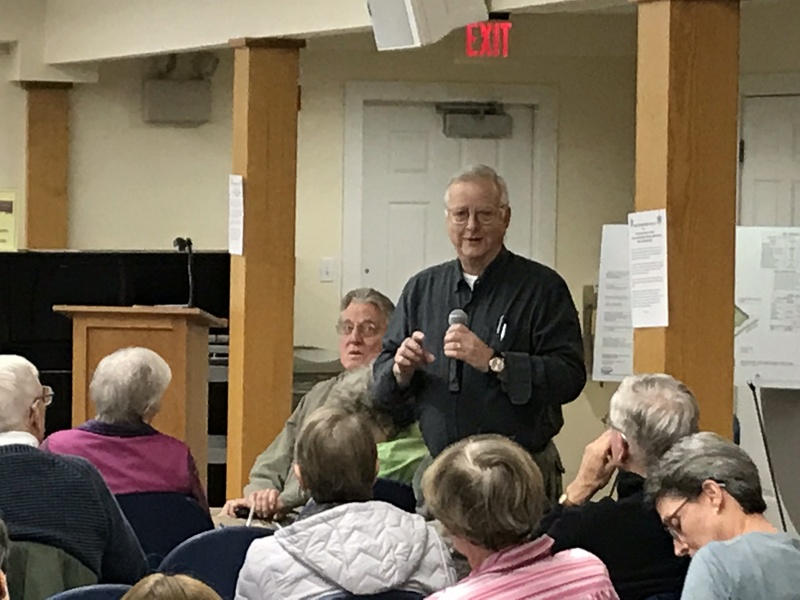 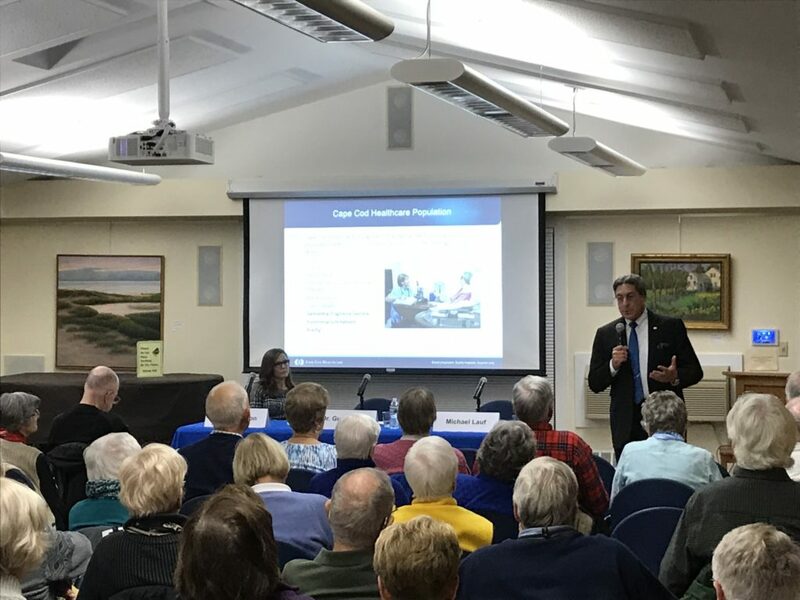 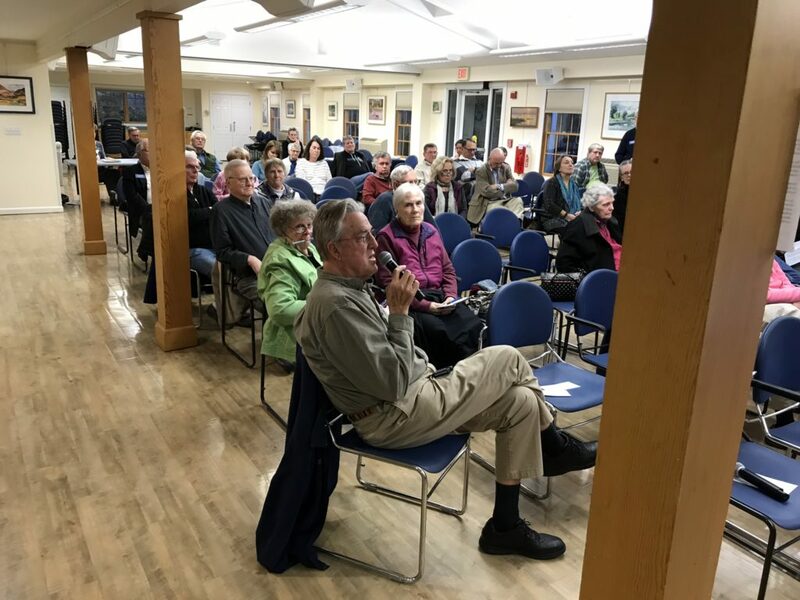 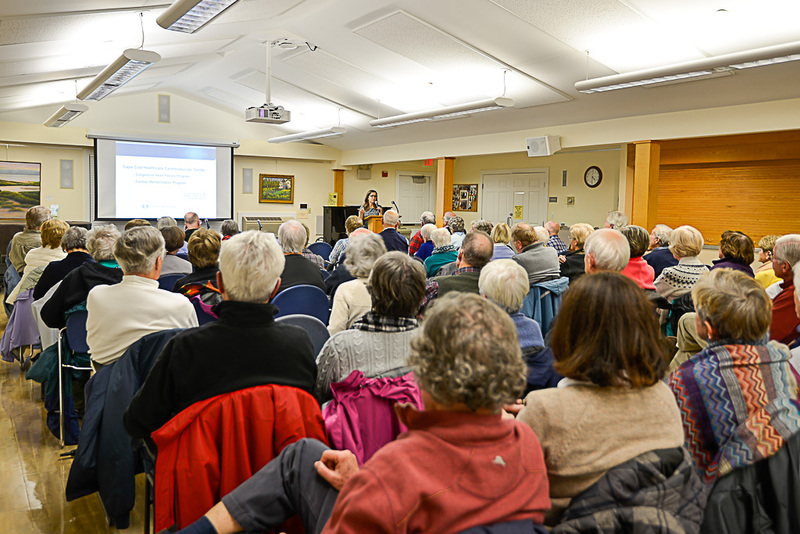 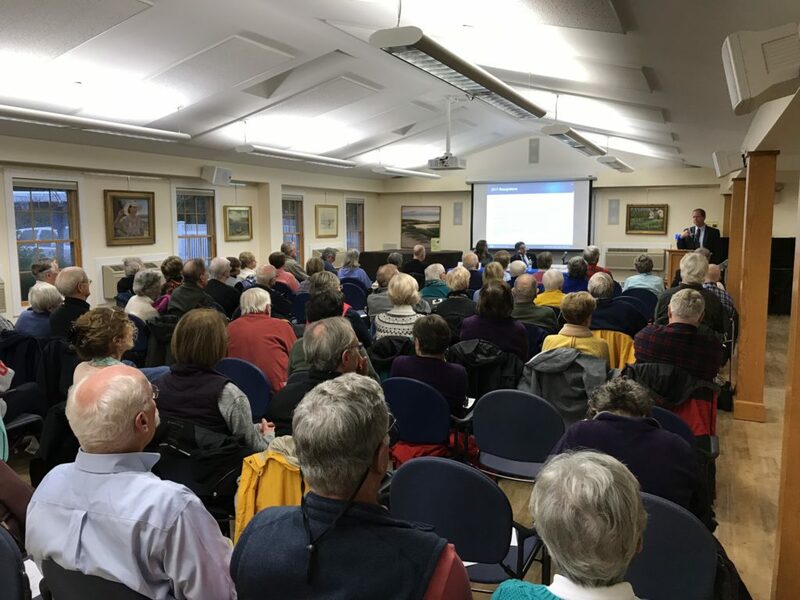 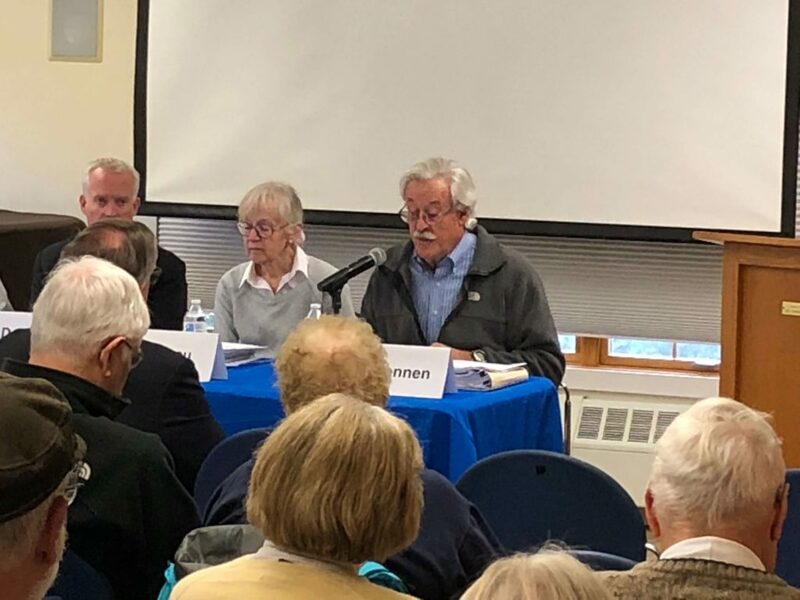 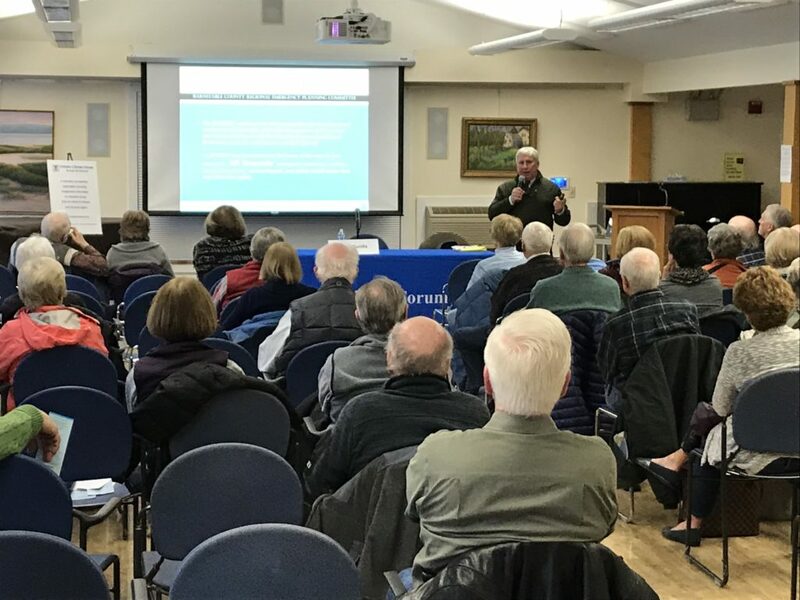 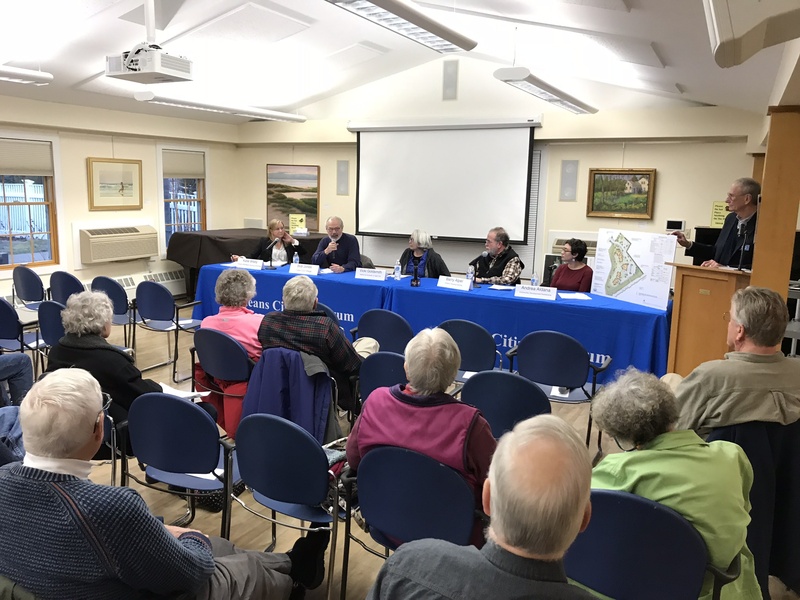 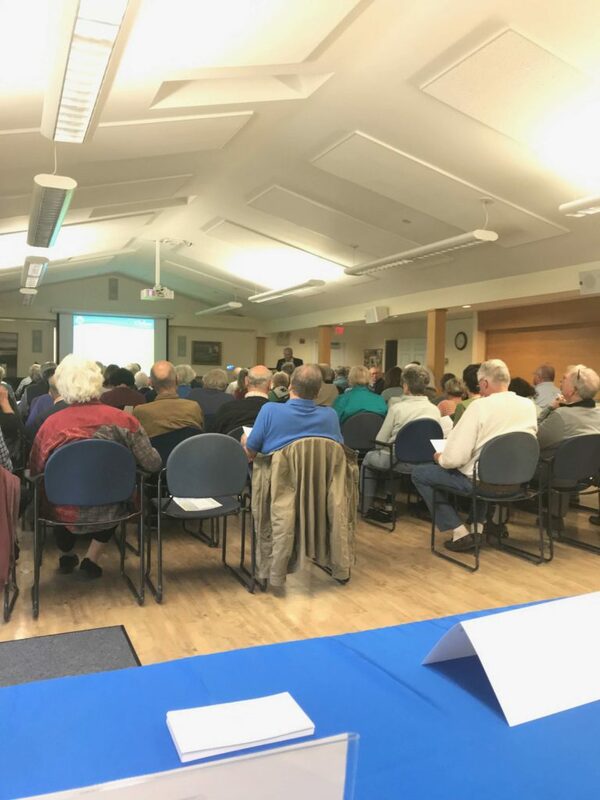 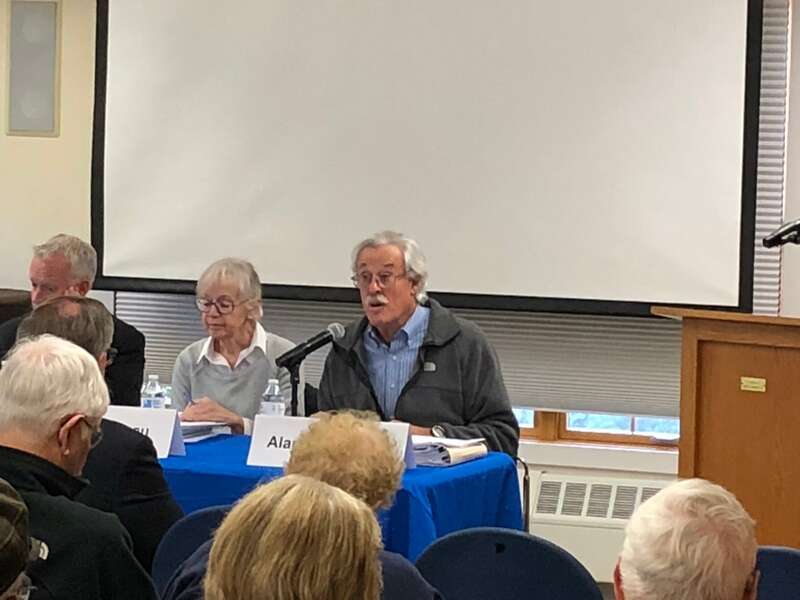 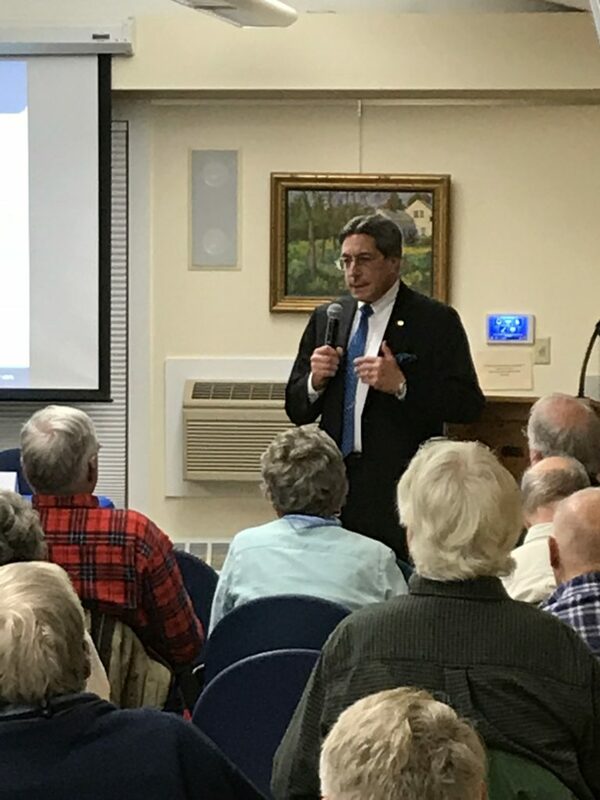 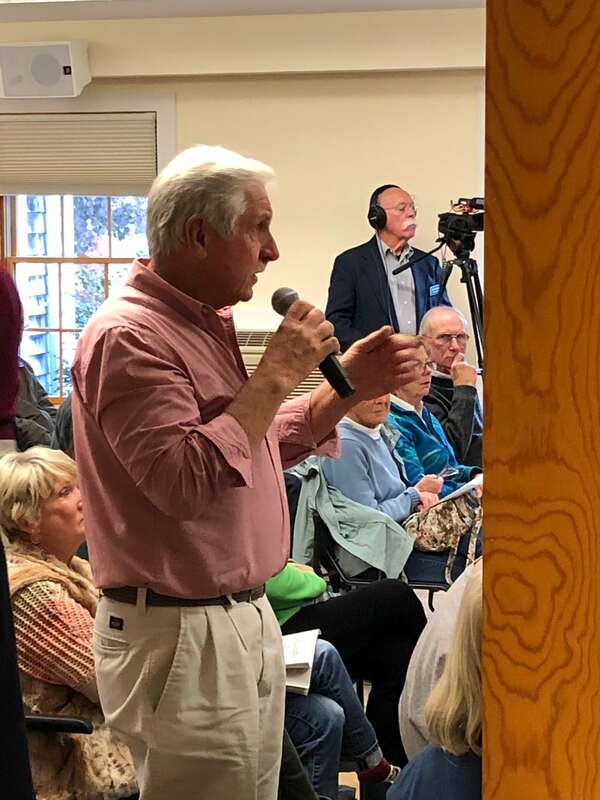 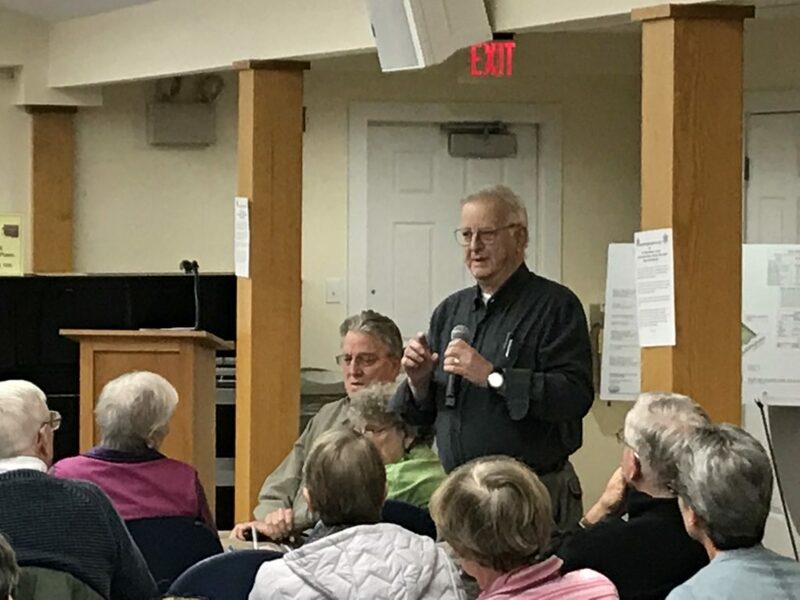 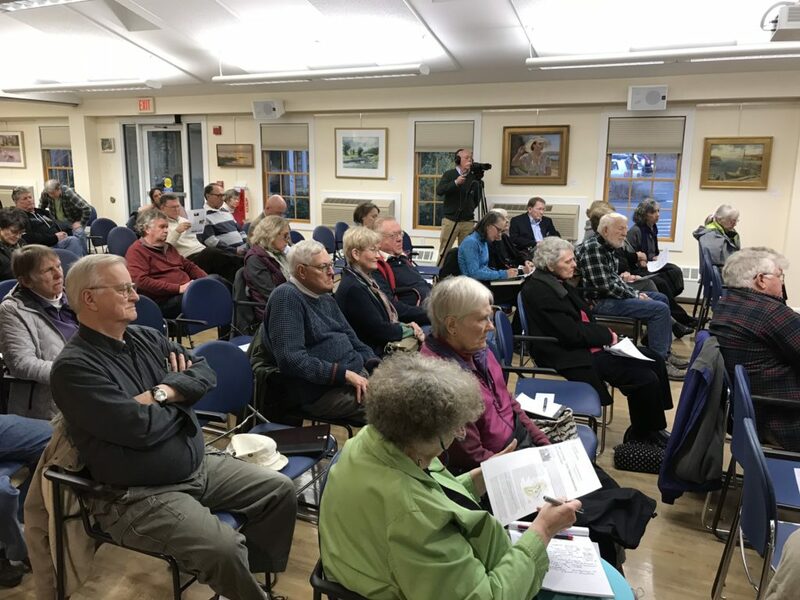 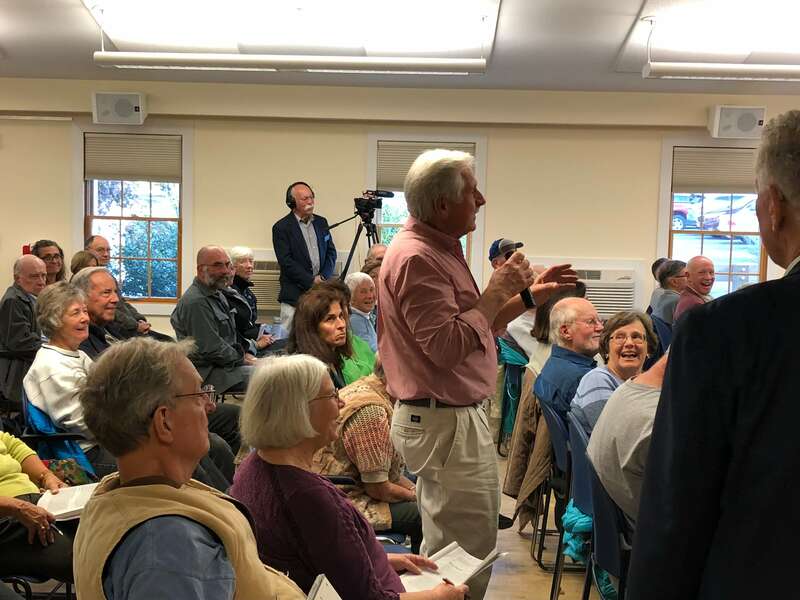 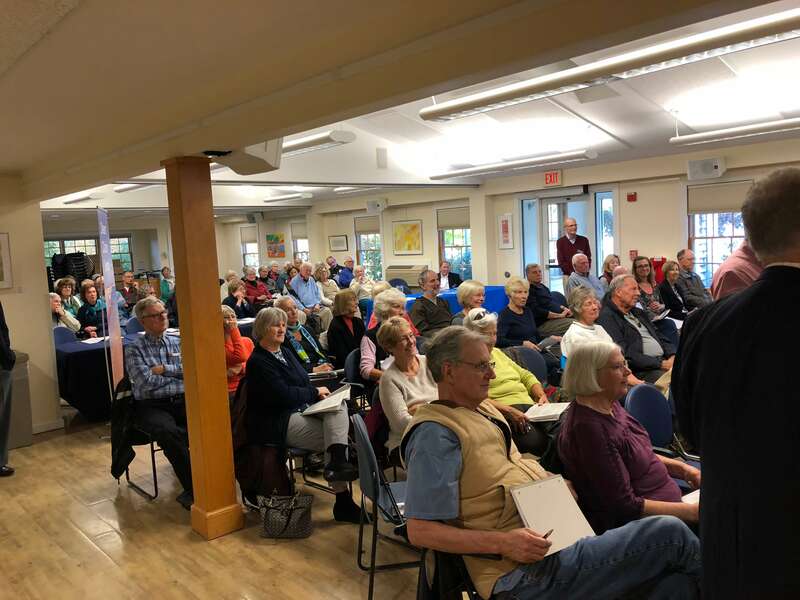 Mr. Lauf spoke about changes in the healthcare industry and how they affect the residents of the Cape, and how Cape Cod Healthcare is preparing for them. 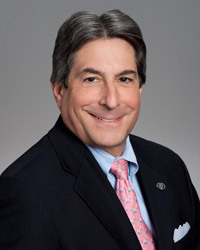 Dr. Donald A. Guadagnoli, Senior Vice President, Chief Medical Officer. 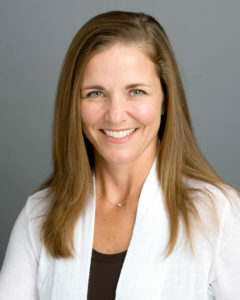 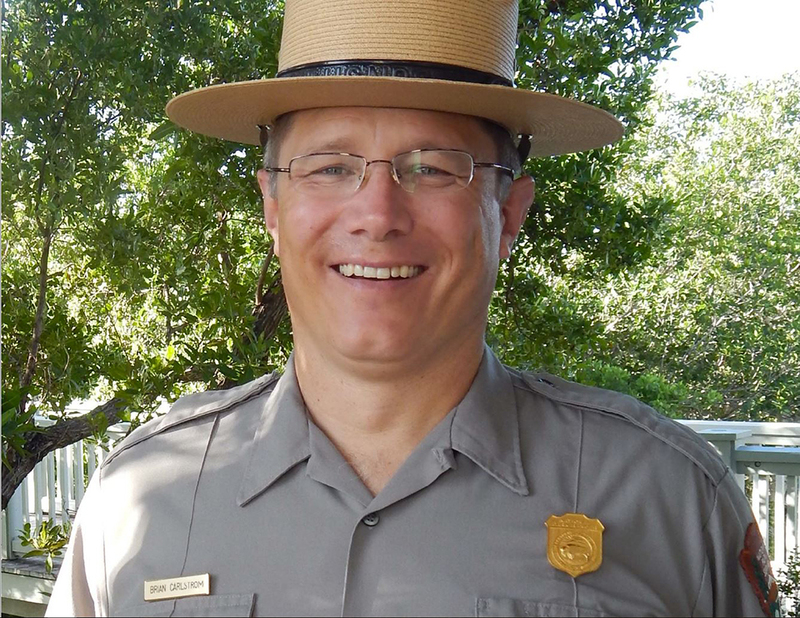 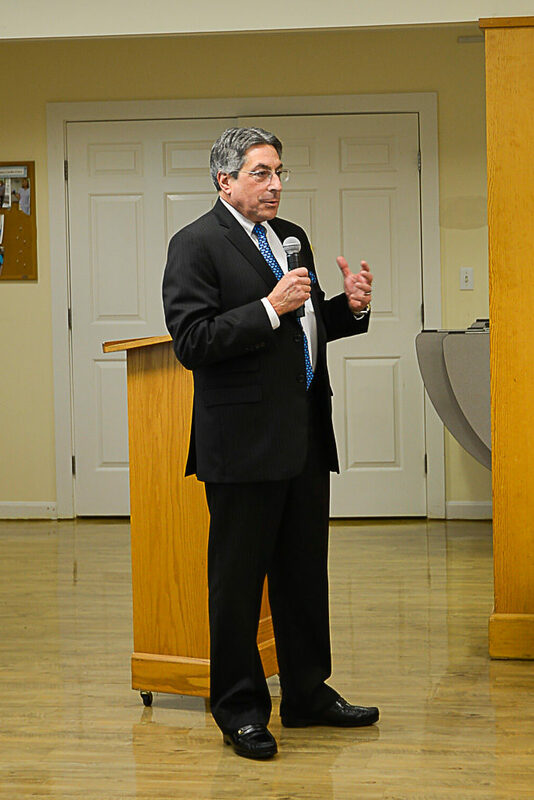 Dr. Guadognoli came to Cape Cod Healthcare in 2012. 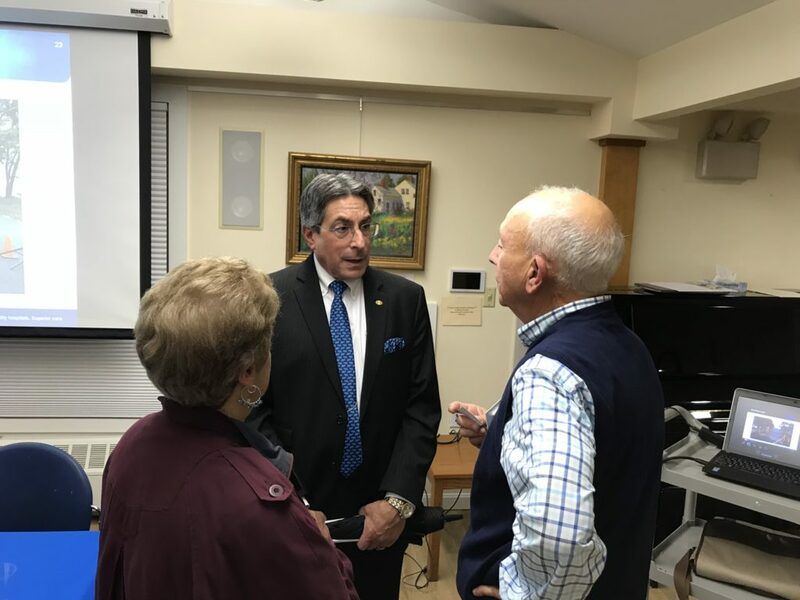 In 2016, he was appointed by the University of Massachusetts Medical School as Associate Dean for Medical Education at Cape Cod Healthcare. 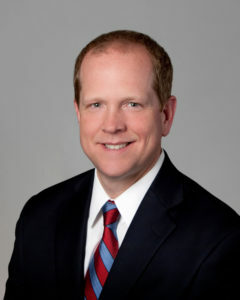 He was also appointed Assistant Professor of Obstetrics and Gynecology for the medical school. 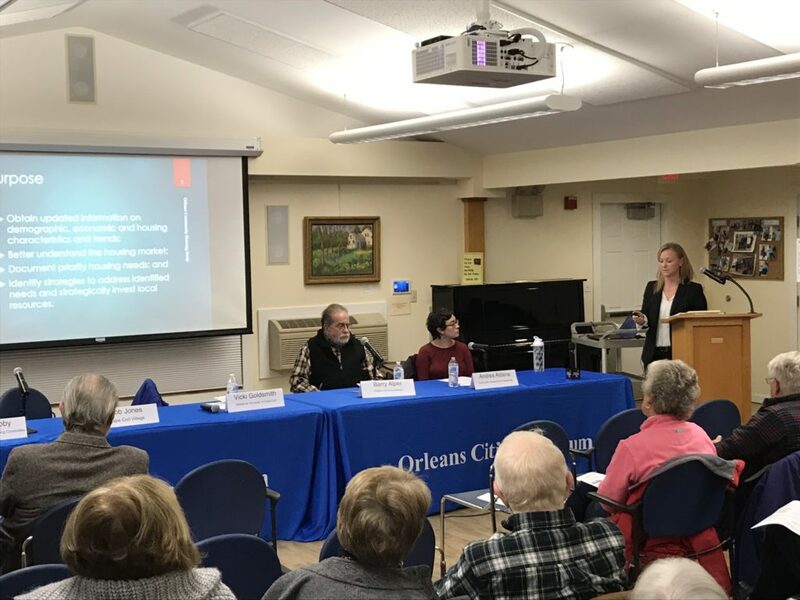 Dr. Guadagnoli talked about the Quality of Life Initiative and the need to prepare for end-of-life issues and why they are important. Dr. Elissa Thompson, MD, board certified cardiologist with Cape Cod Healthcare Cardiovascular Center, is medical director of cardiac rehabilitation at Cape Cod Hospital and the new Cape Cod Healthcare Heart Failure Clinic. 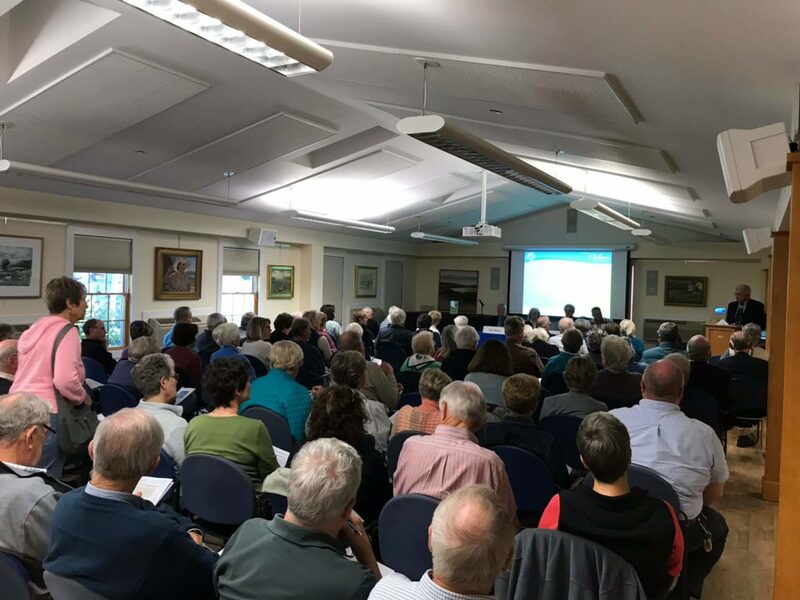 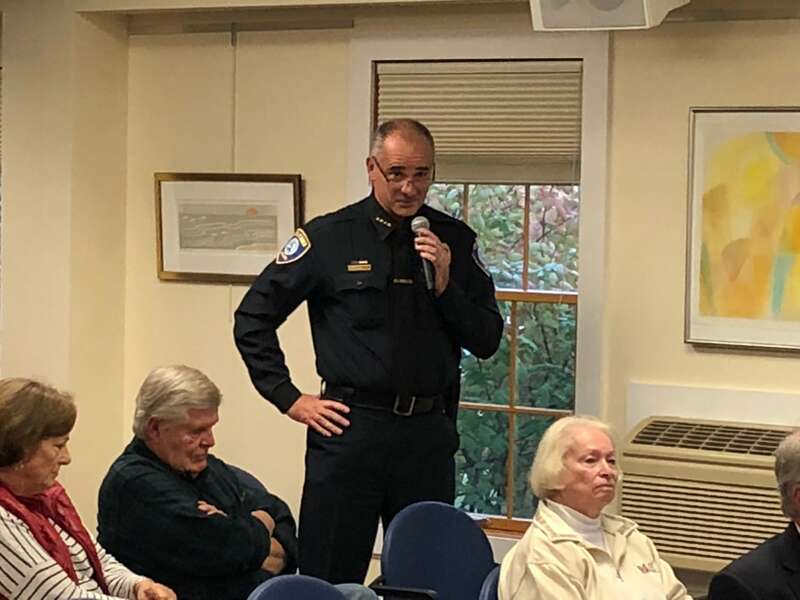 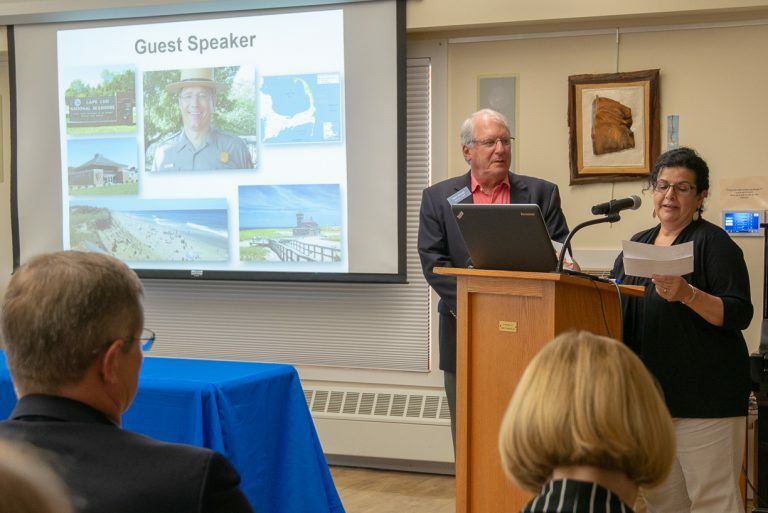 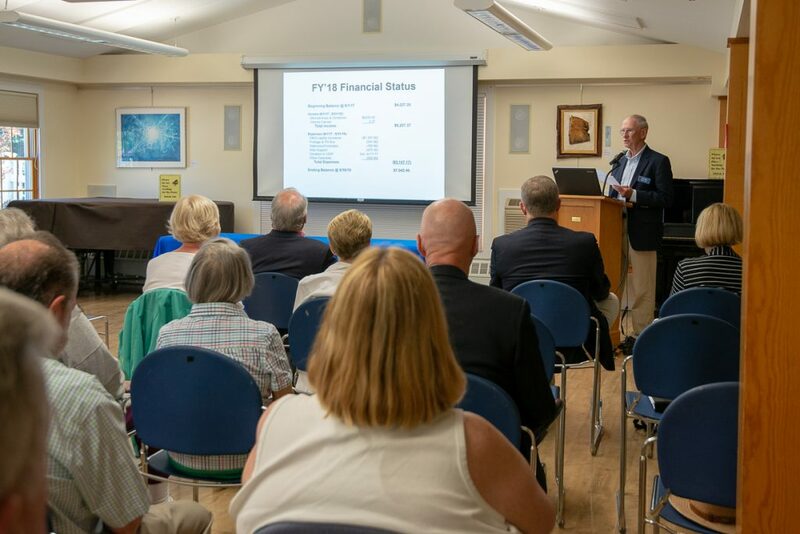 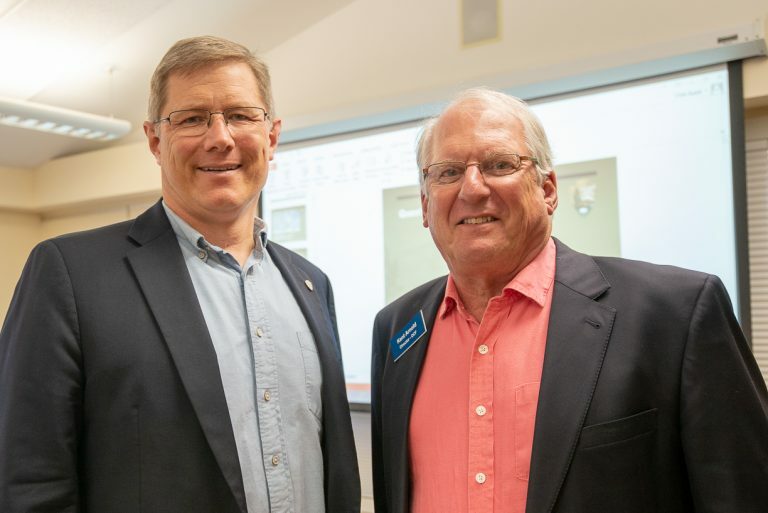 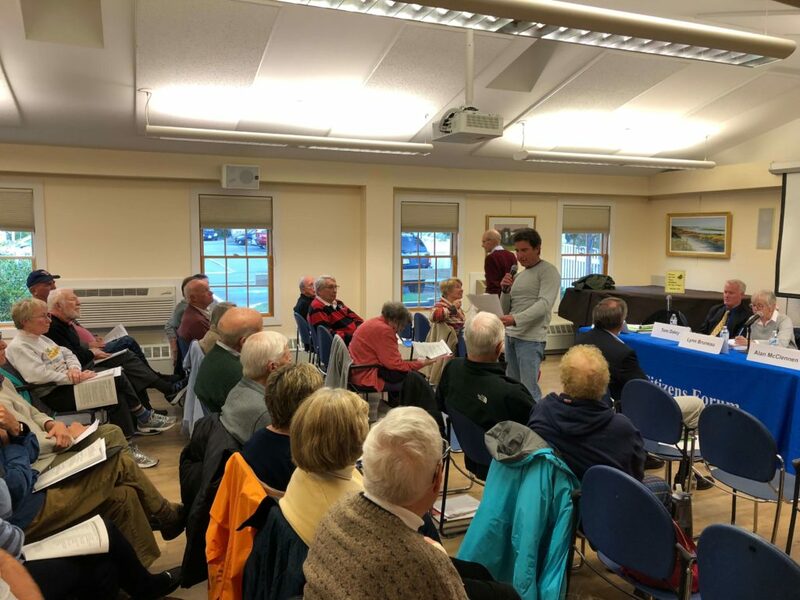 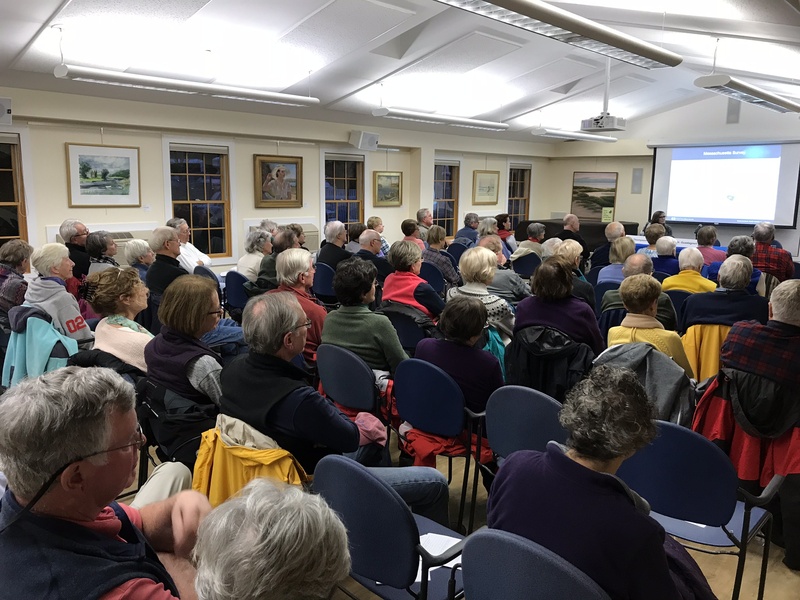 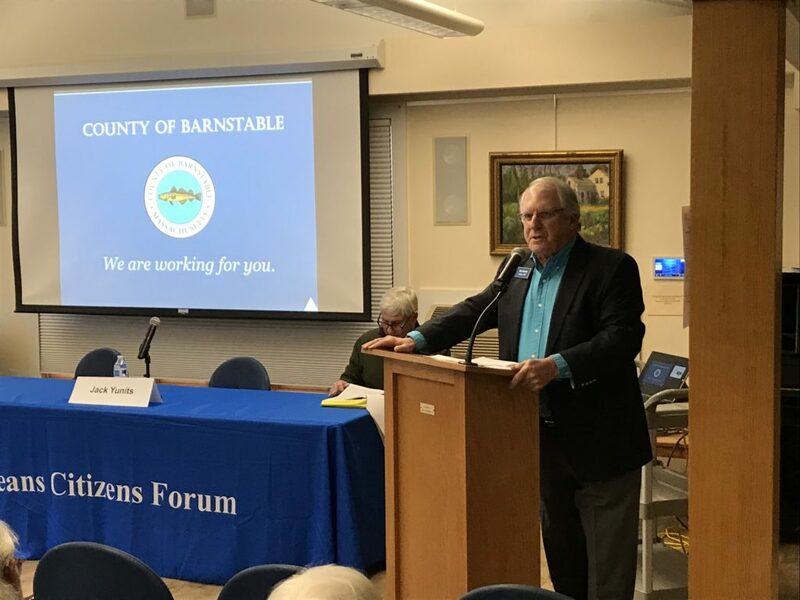 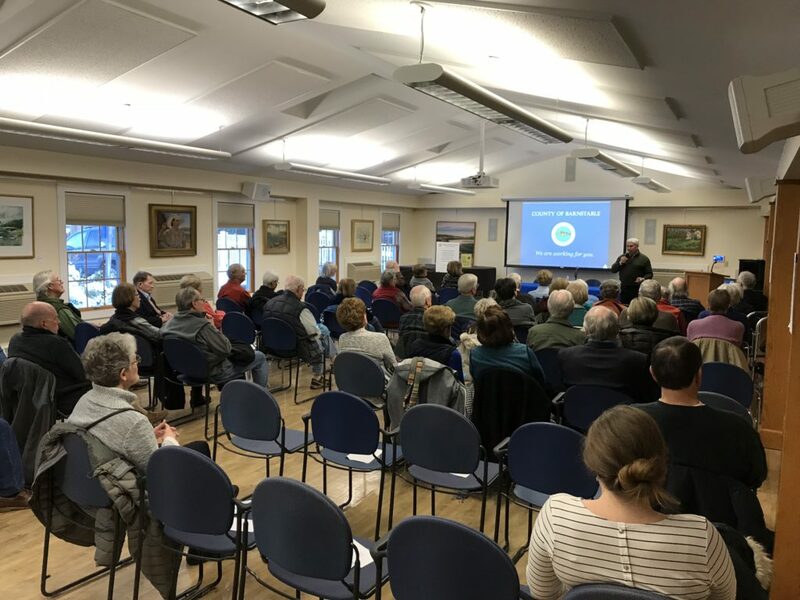 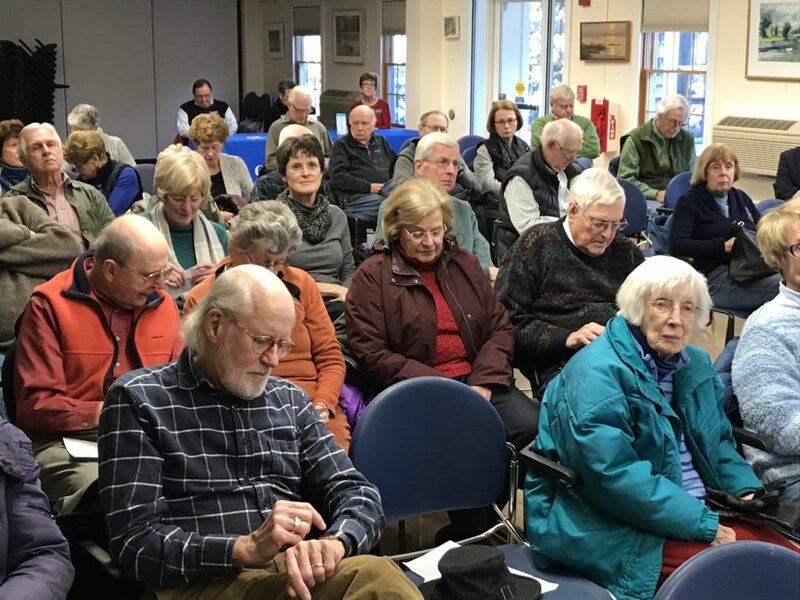 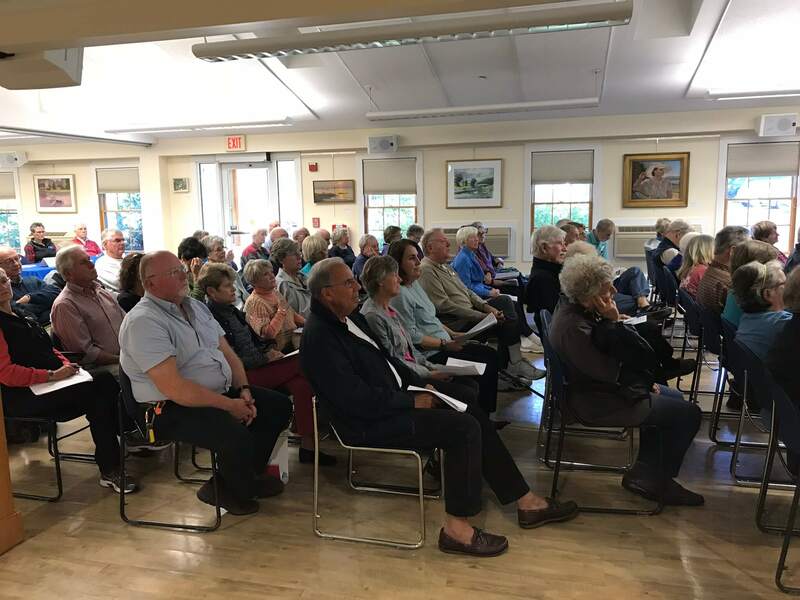 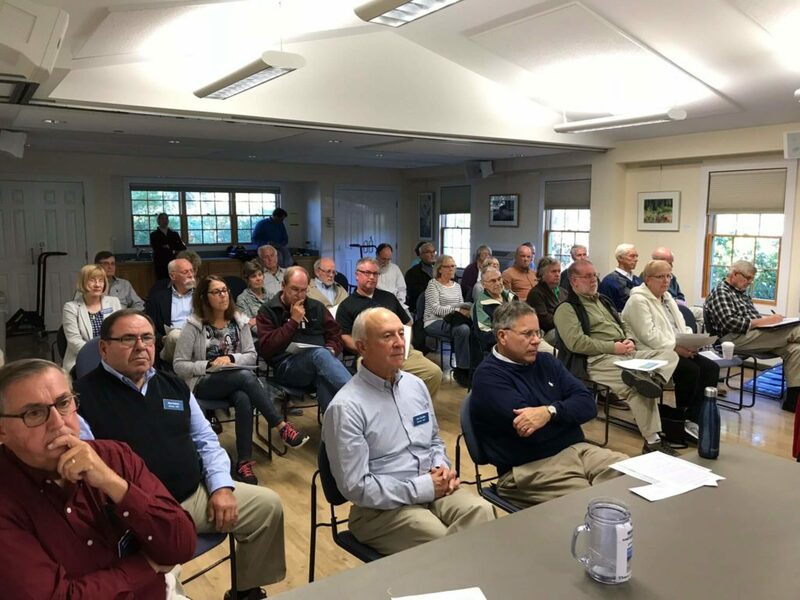 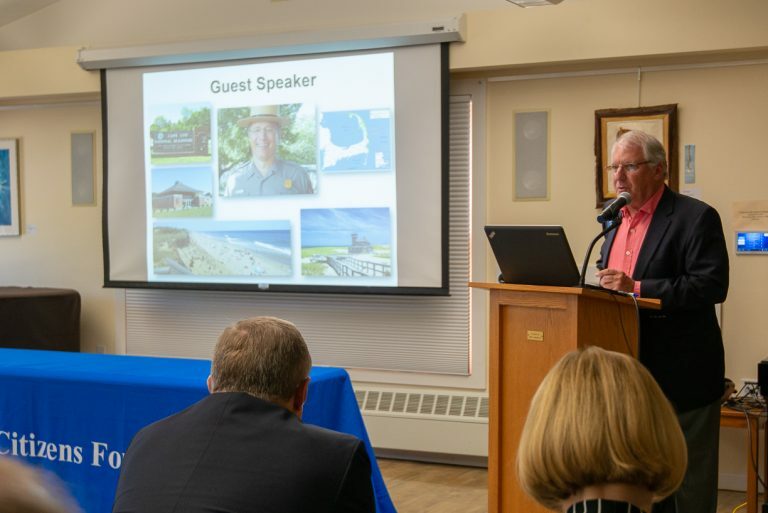 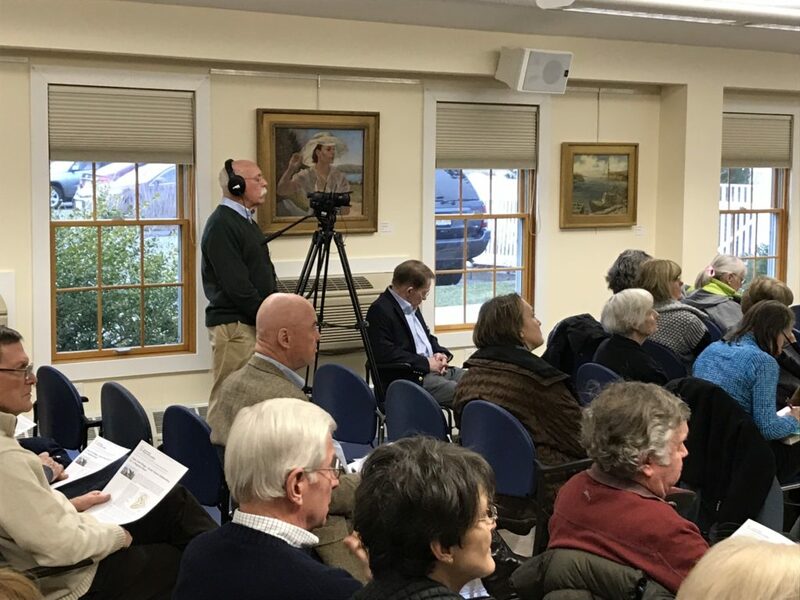 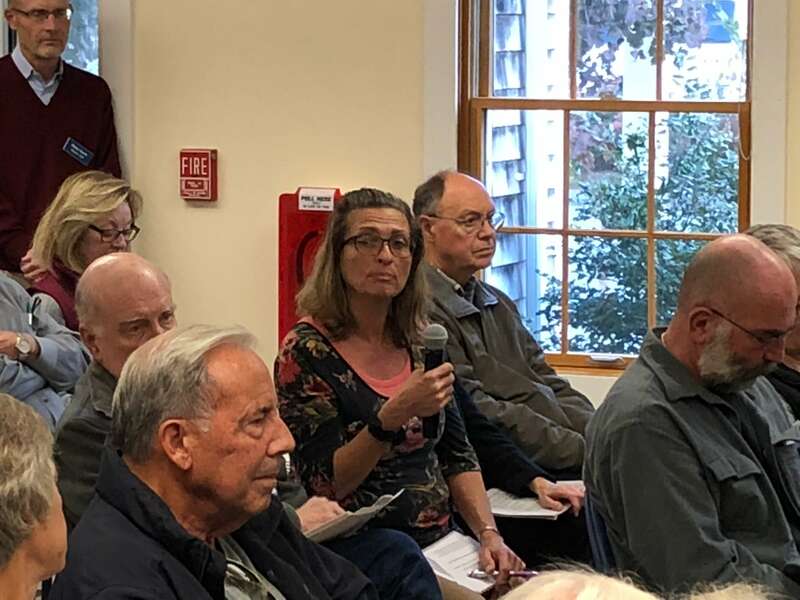 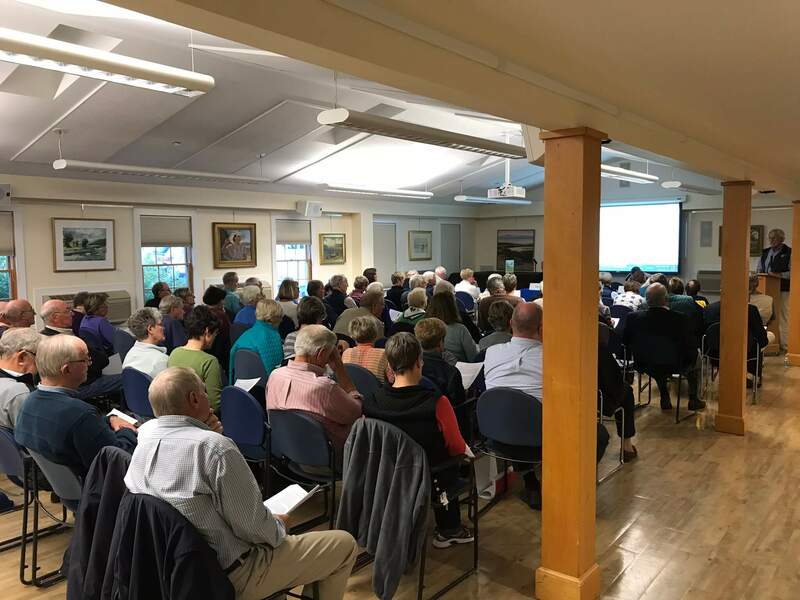 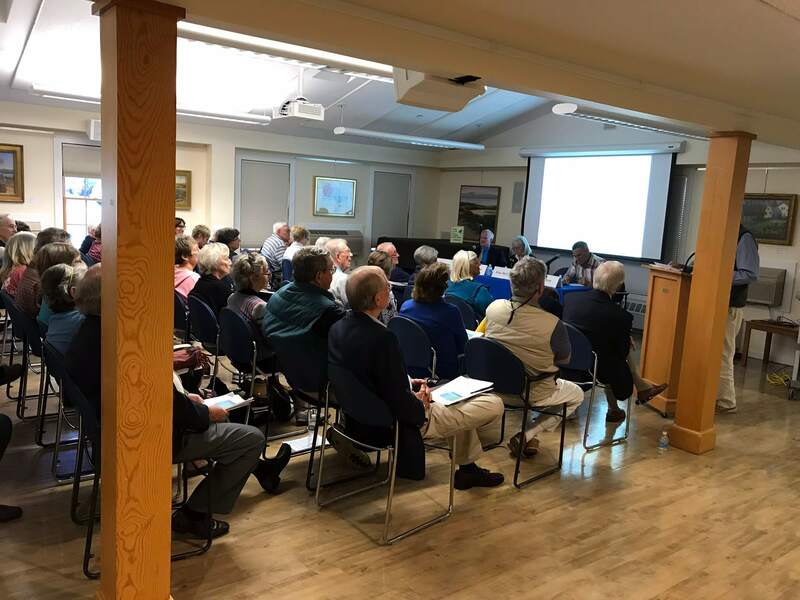 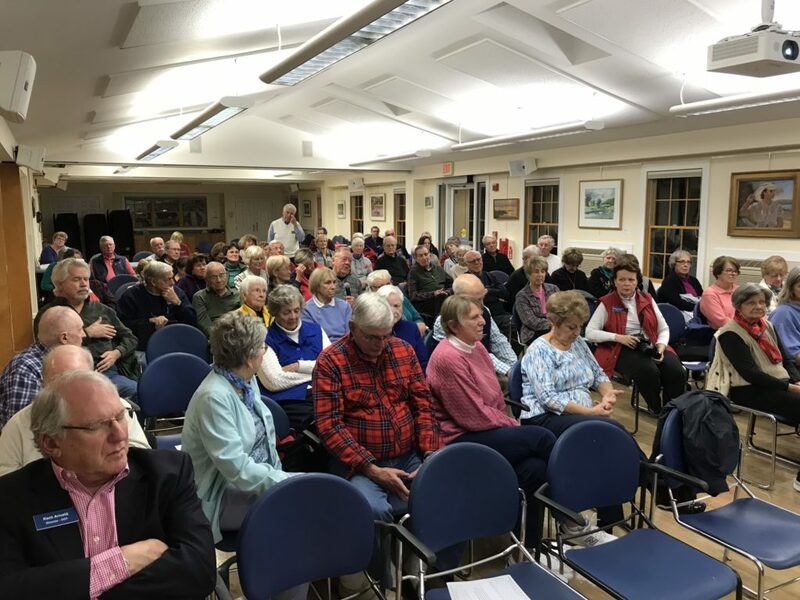 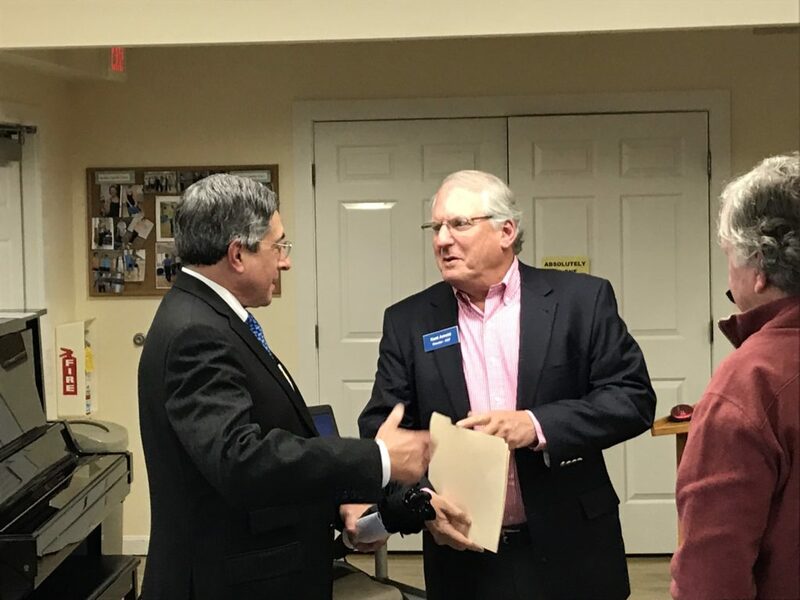 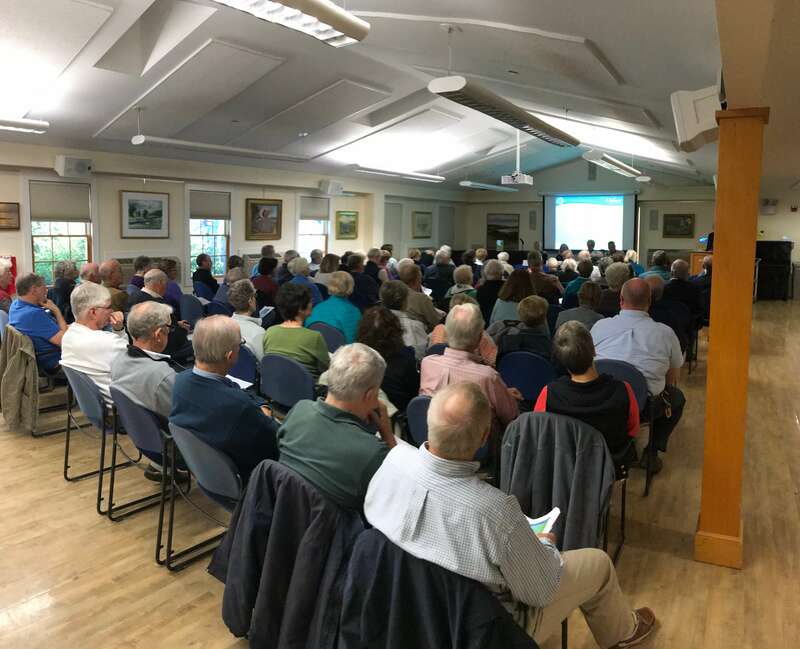 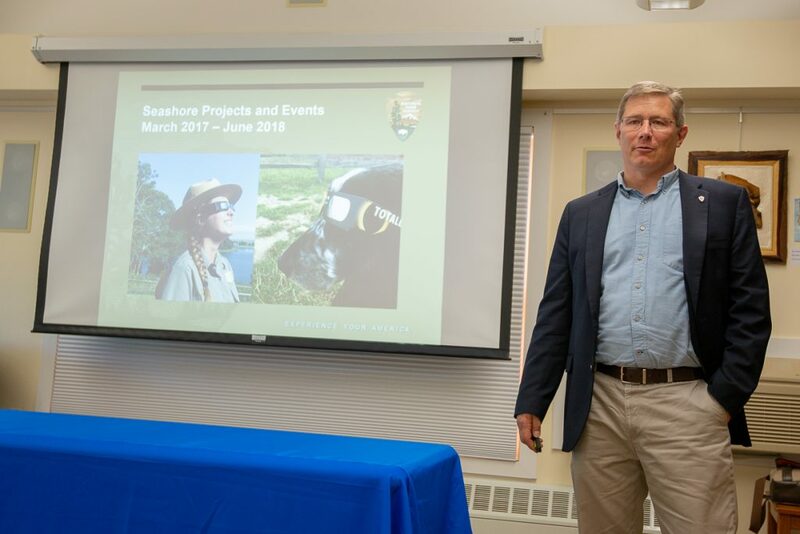 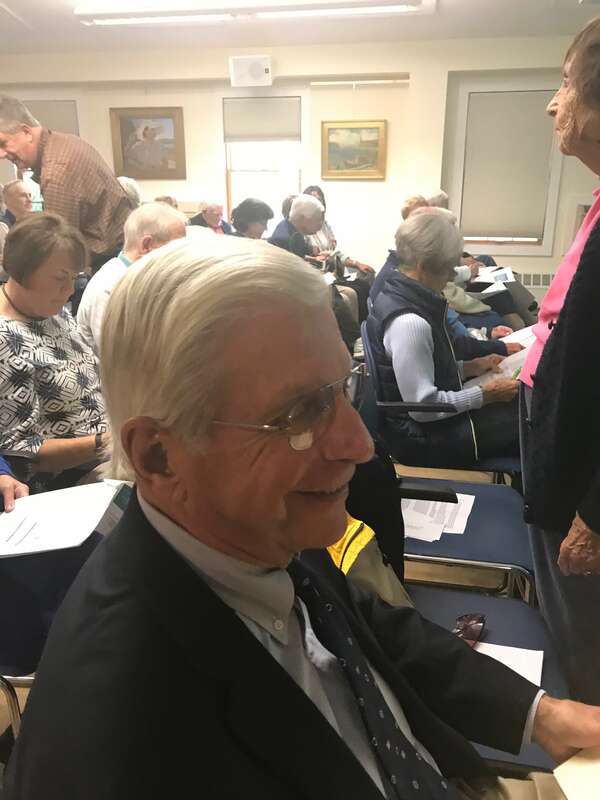 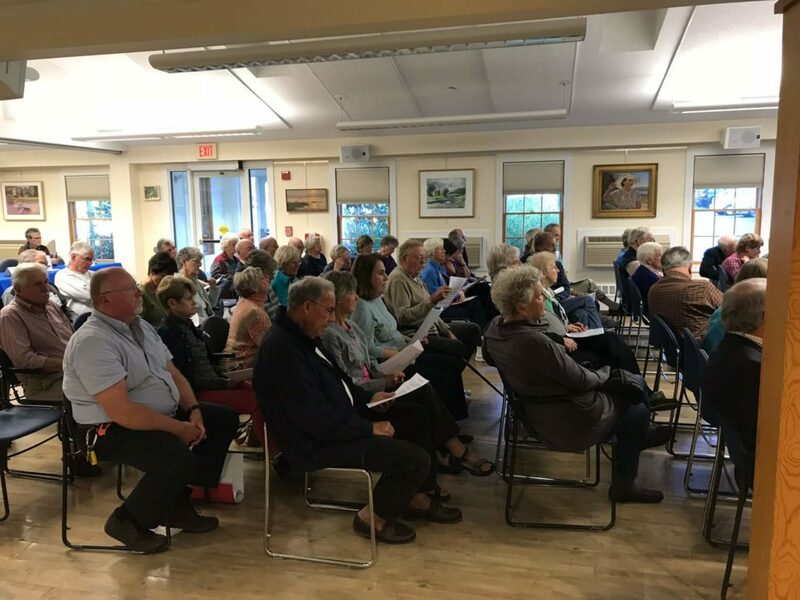 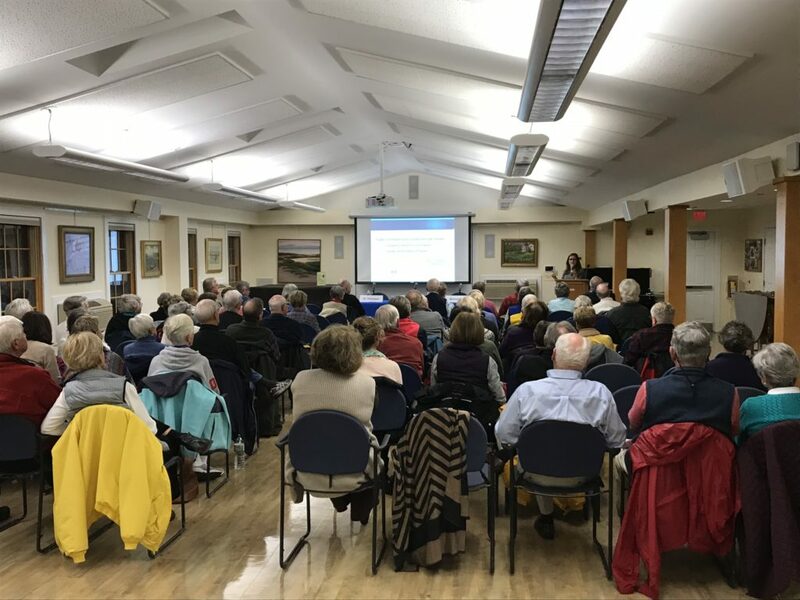 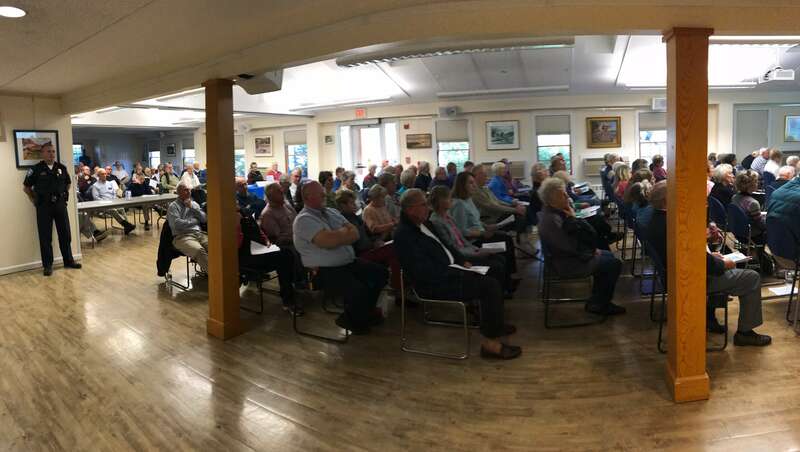 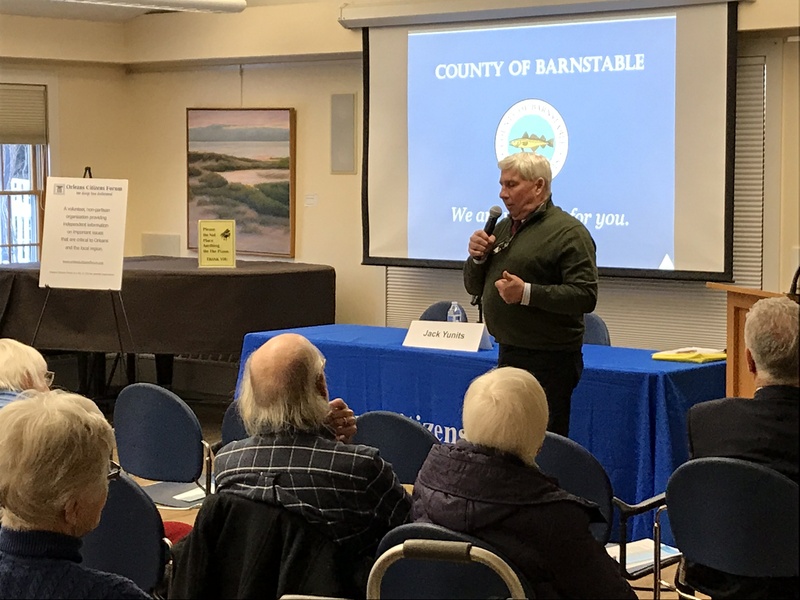 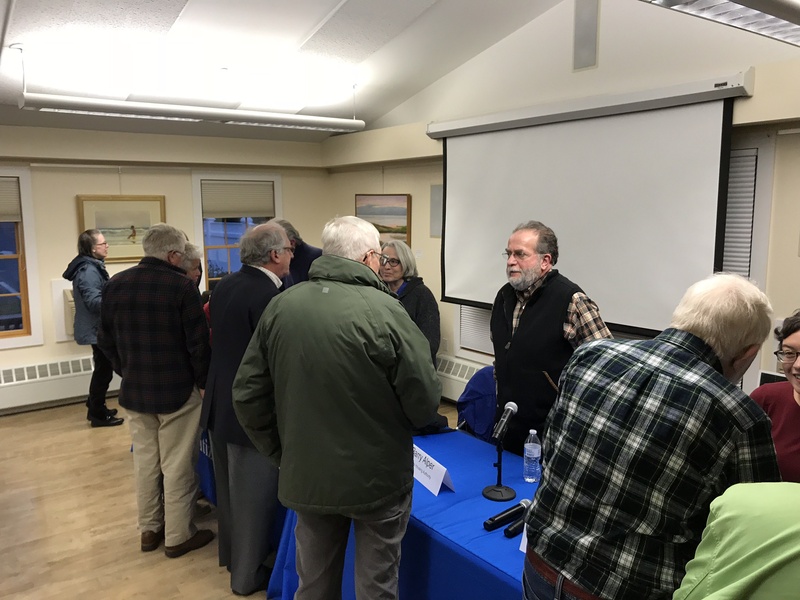 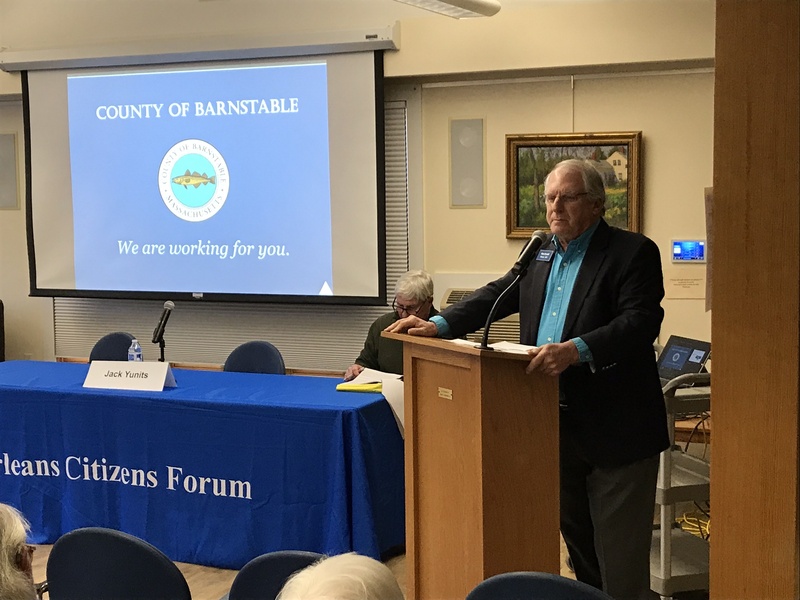 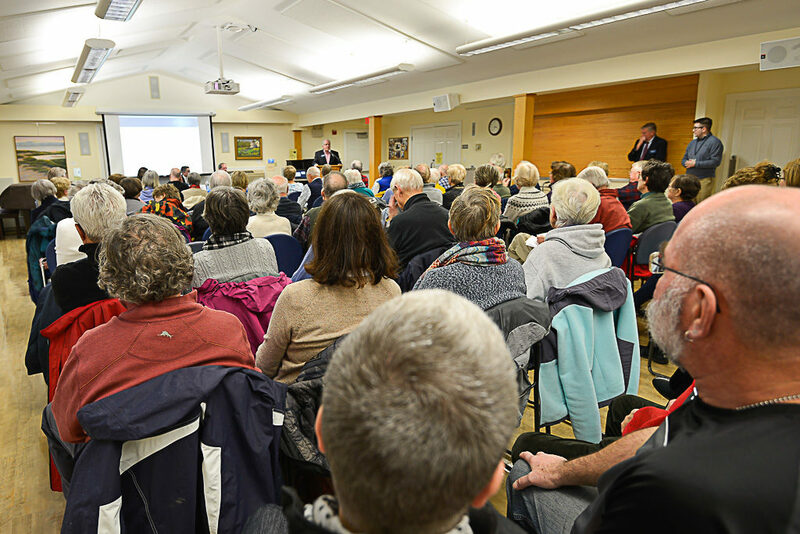 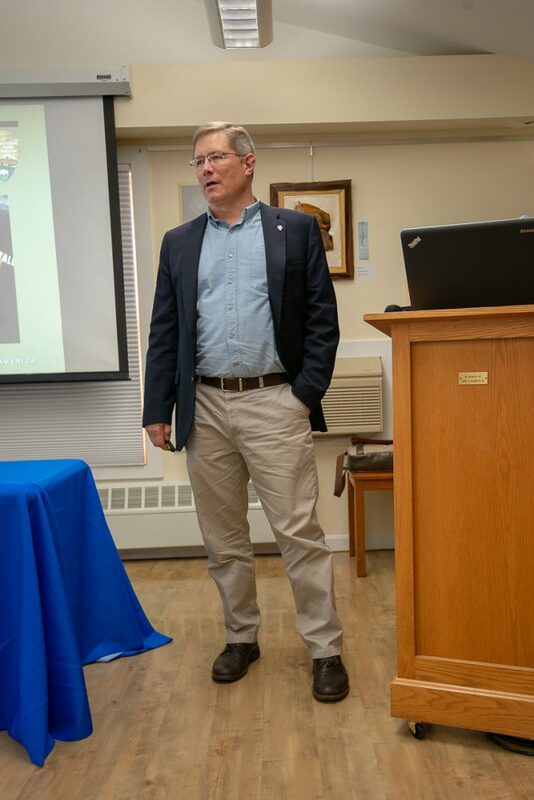 Barnstable County Administrator, Jack Yunits, provided an in-depth look at our County government, including its history and the operation of various Departments such as Health, Emergency Management, Cape Cod Commission and Registry of Deeds. 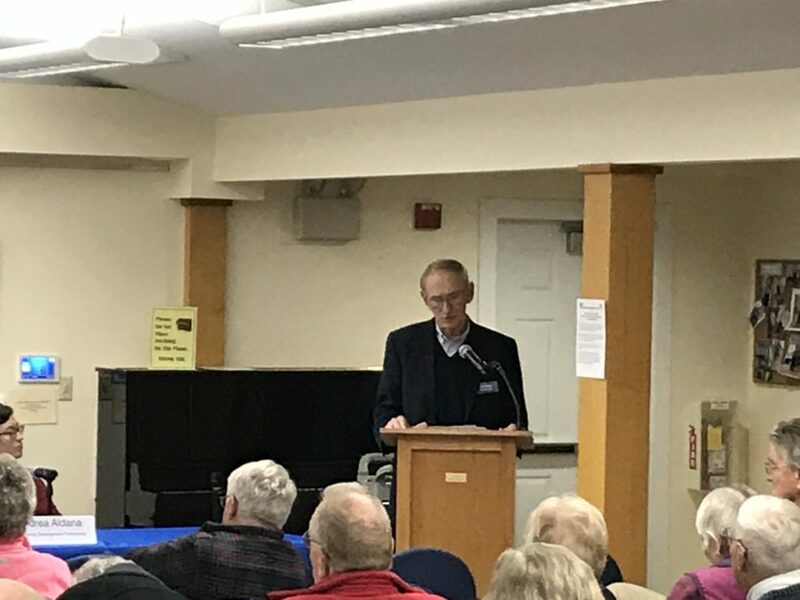 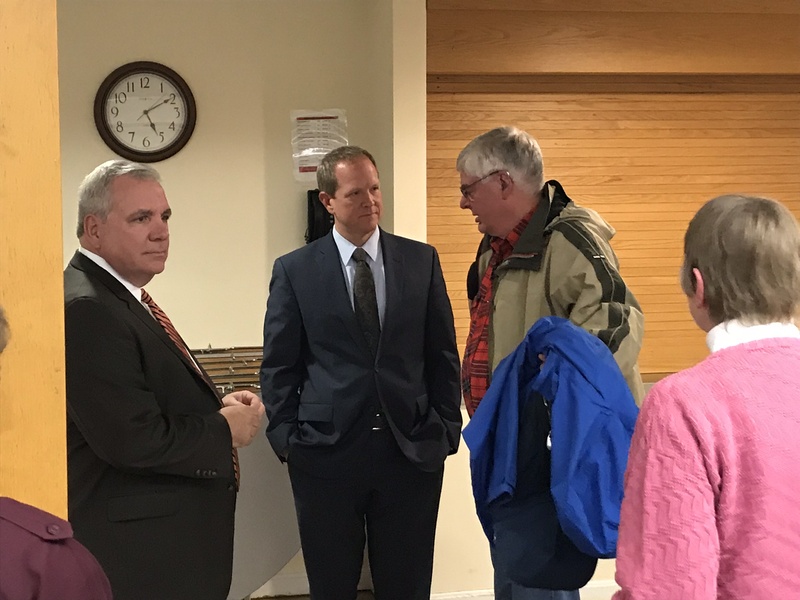 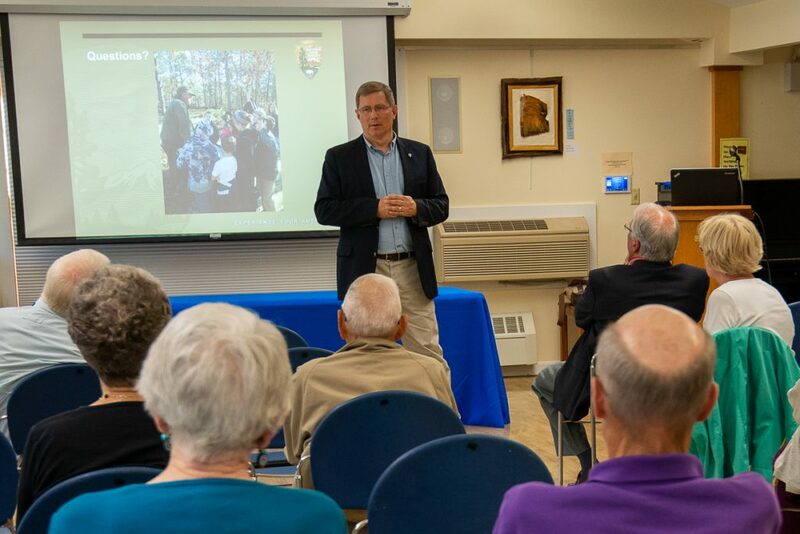 His knowledge of how Country Government works was obvious as he presented detailed facts and figures from memory, regarding issues such as water and wastewater, dredging of our waterways, County budget, etc. His candid comments regarding present day-to-day problems and issues we are facing as a community were well received. 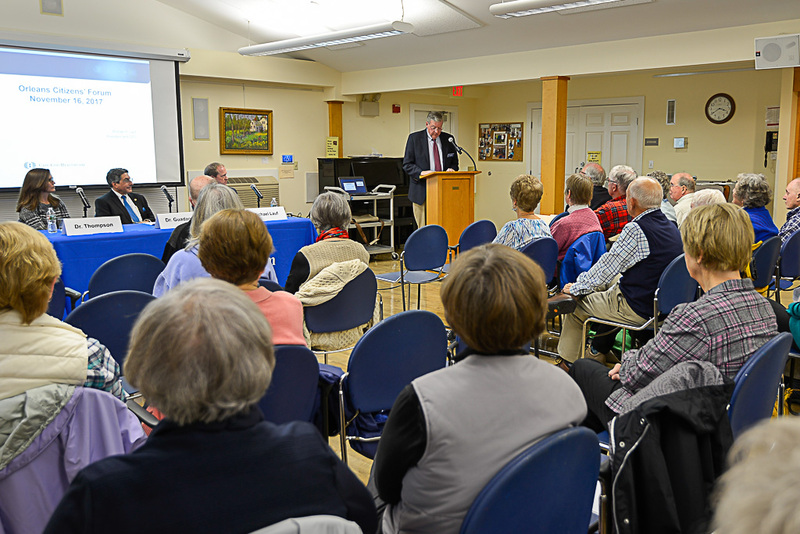 Over 50 people attended the forum and asked many detailed questions during Mr. Yunits’ interactive presentation.